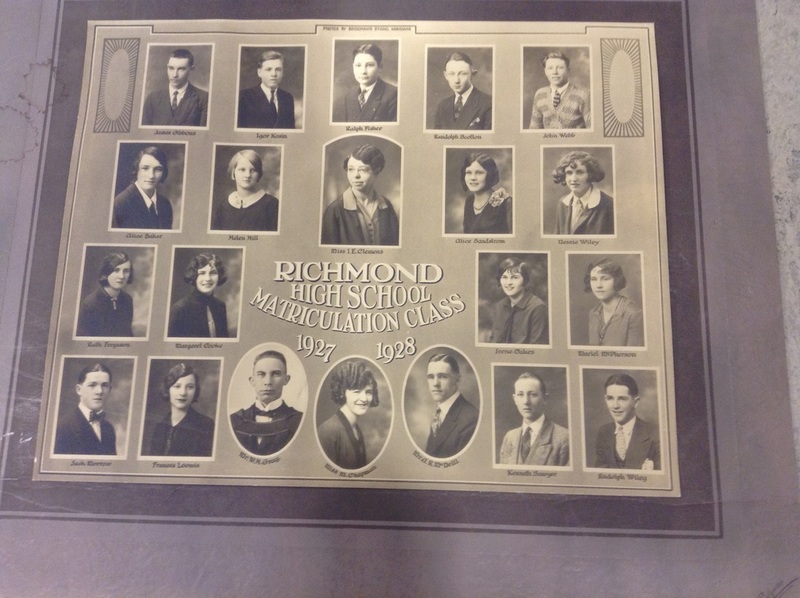 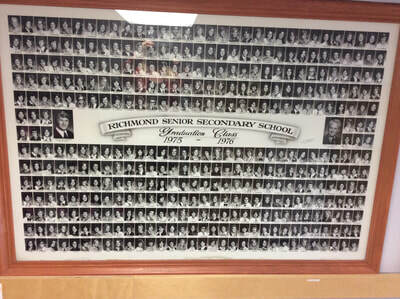 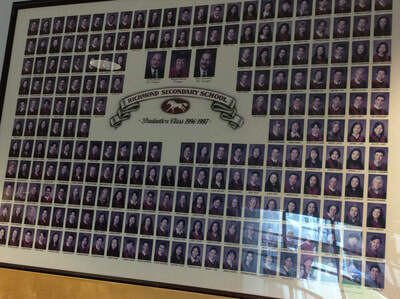 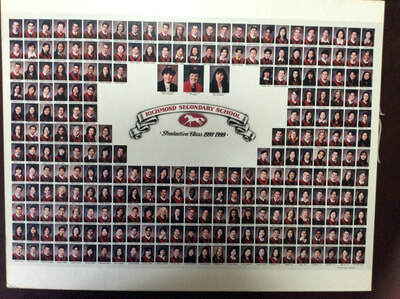 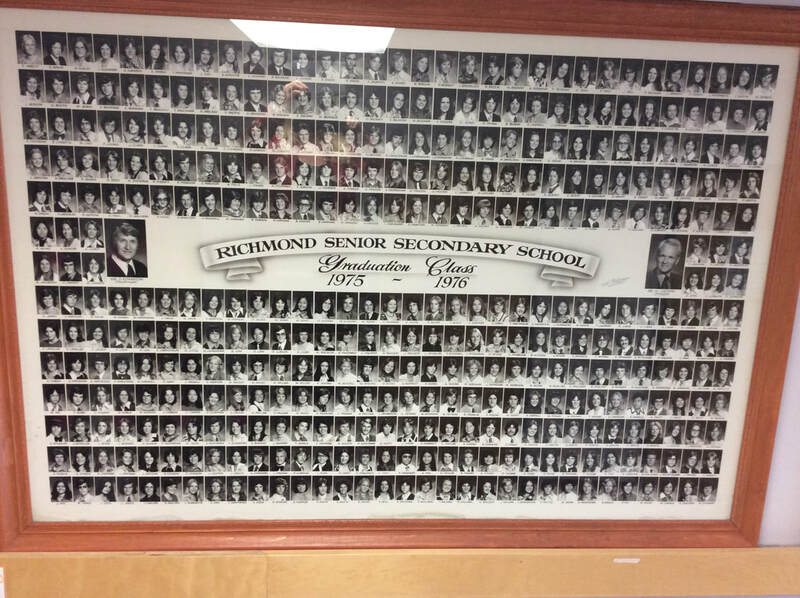 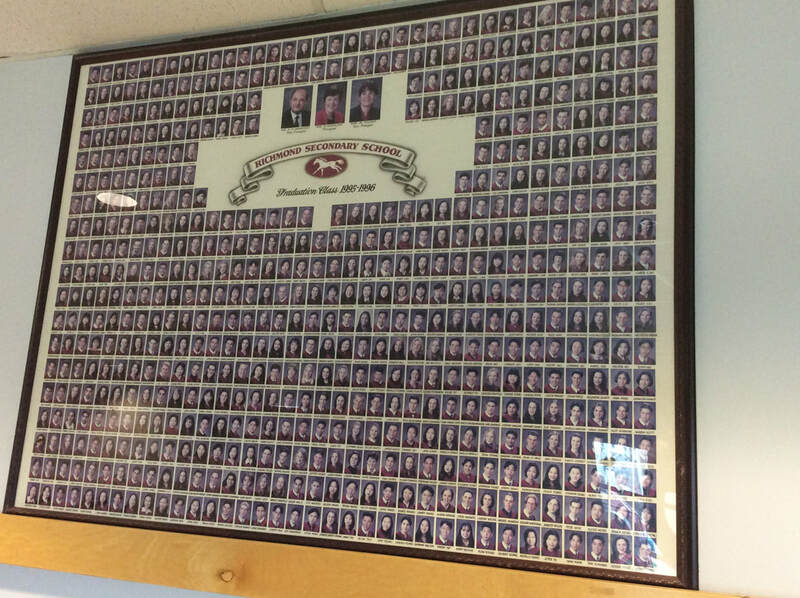 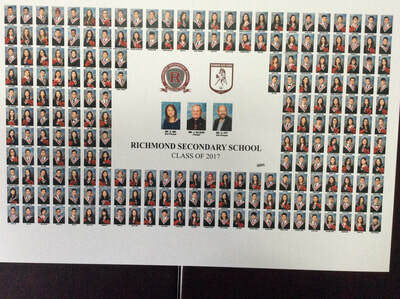 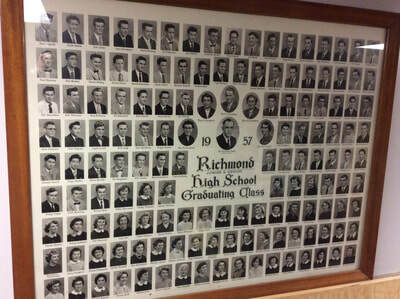 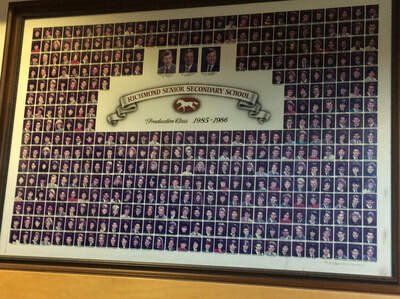 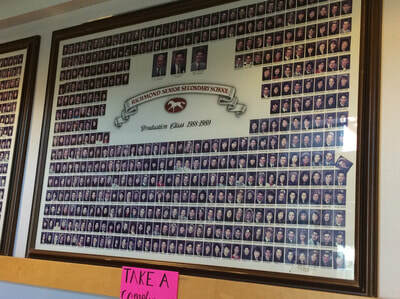 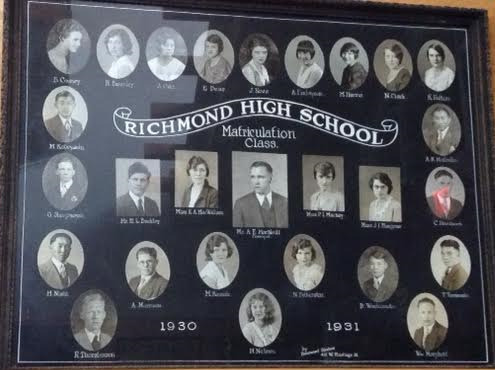 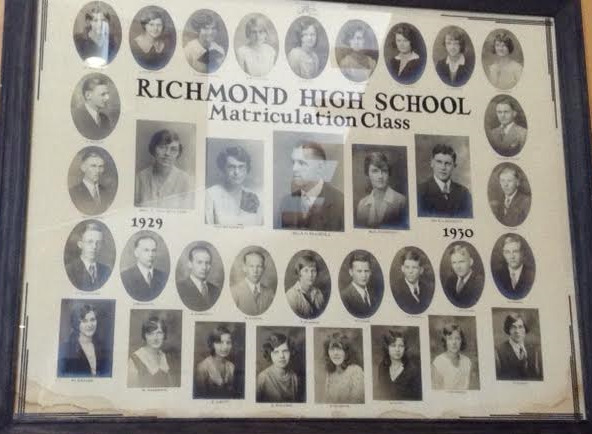 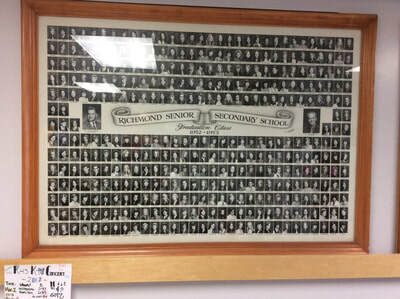 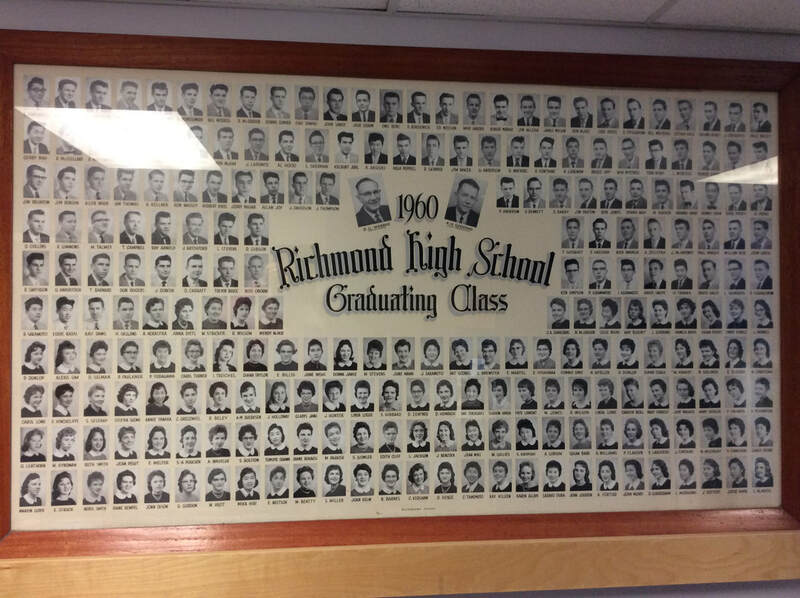 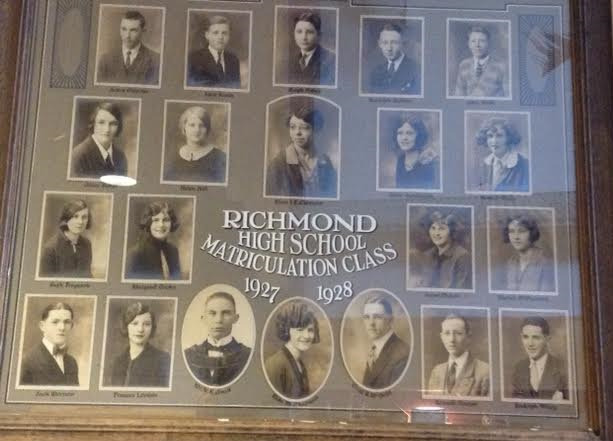 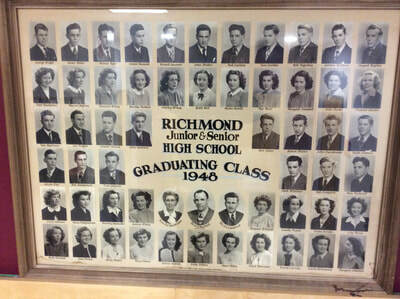 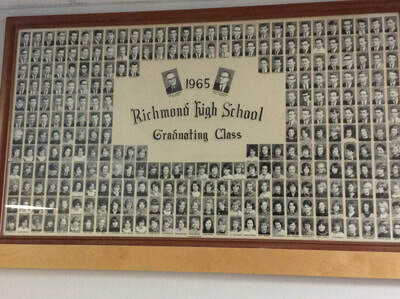 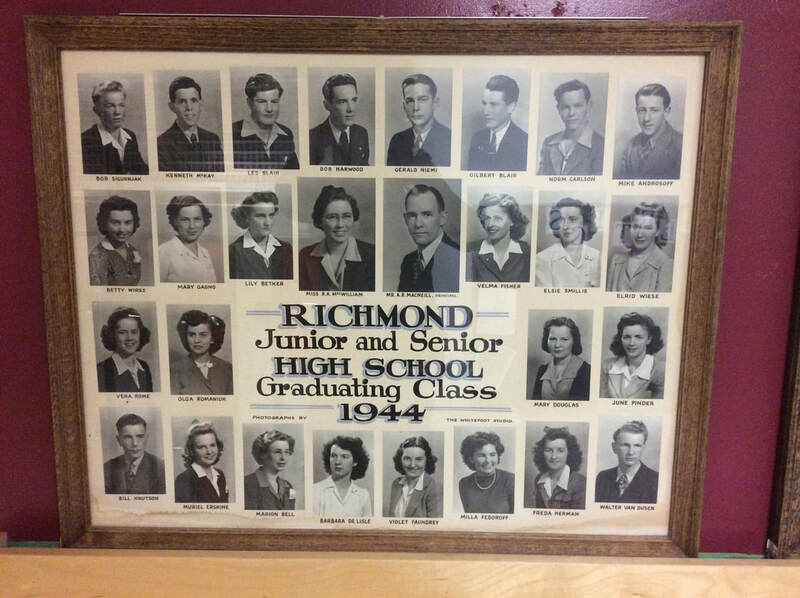 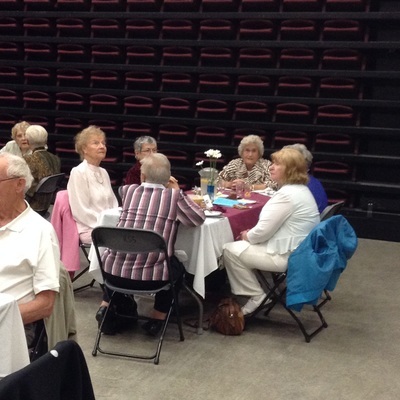 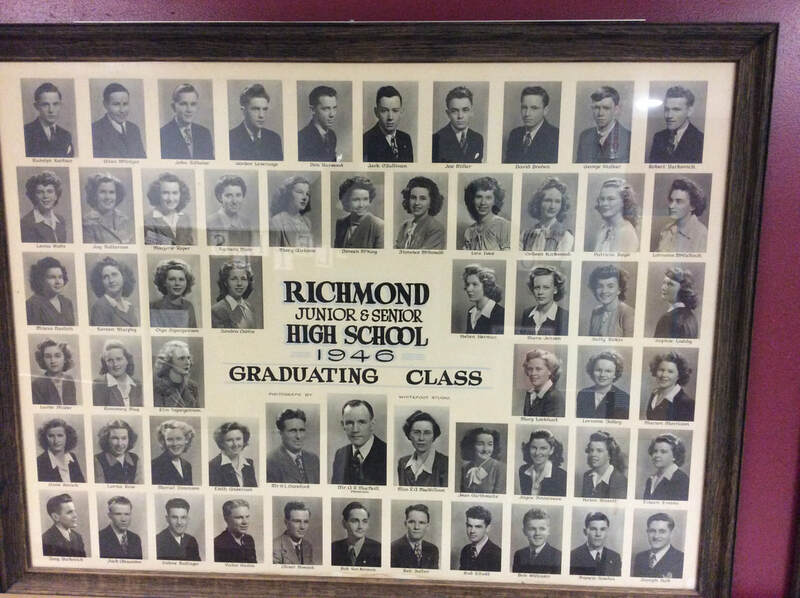 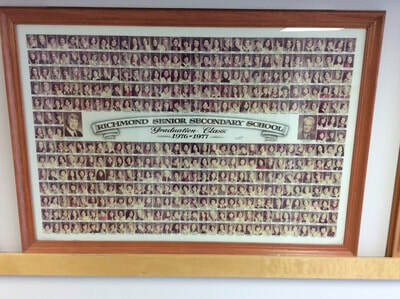 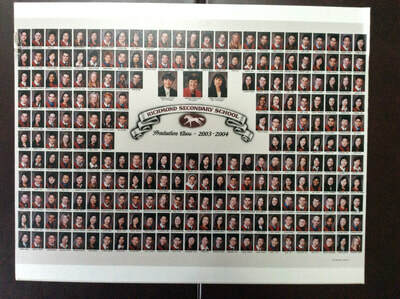 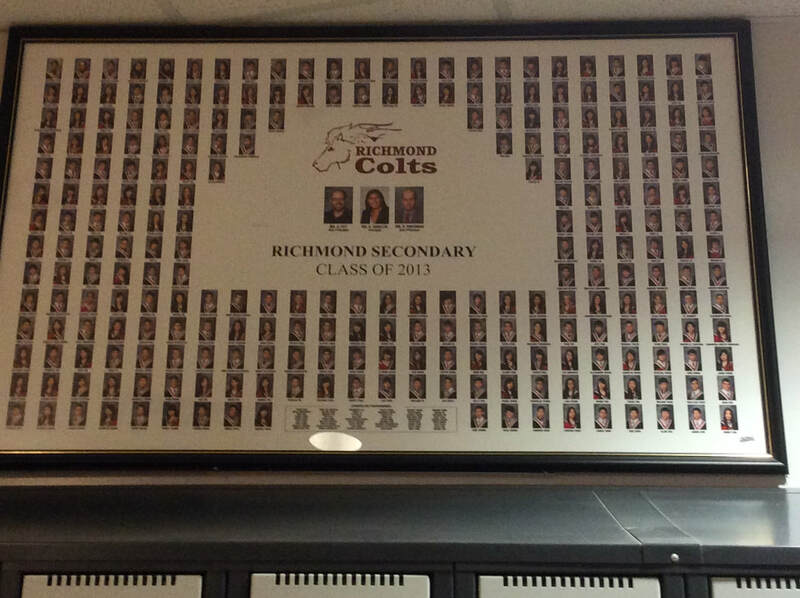 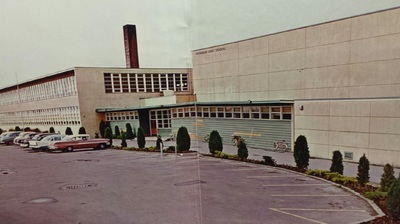 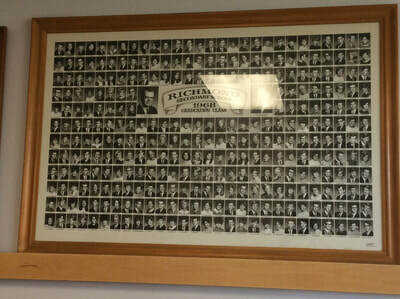 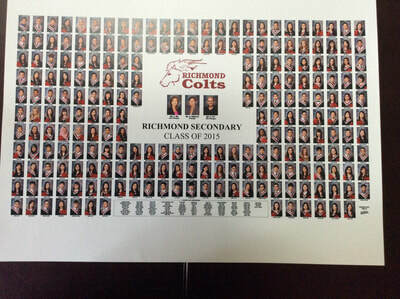 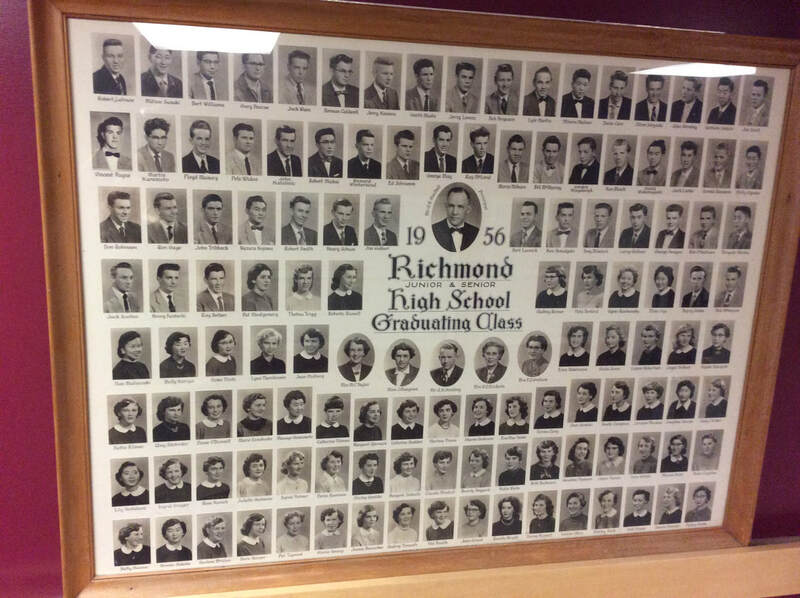 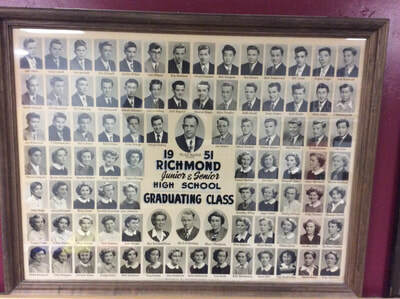 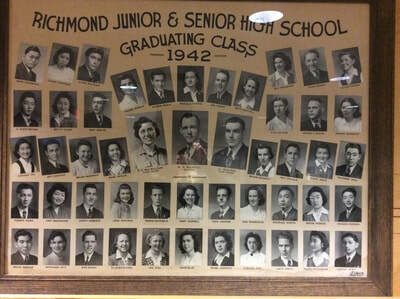 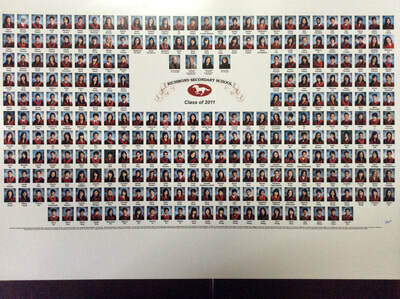 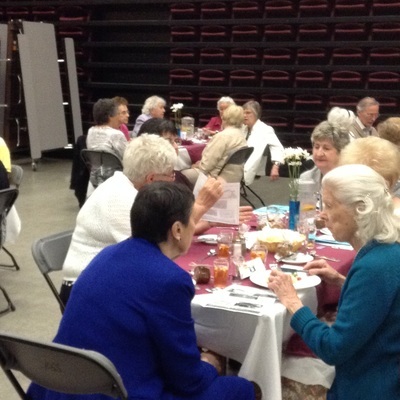 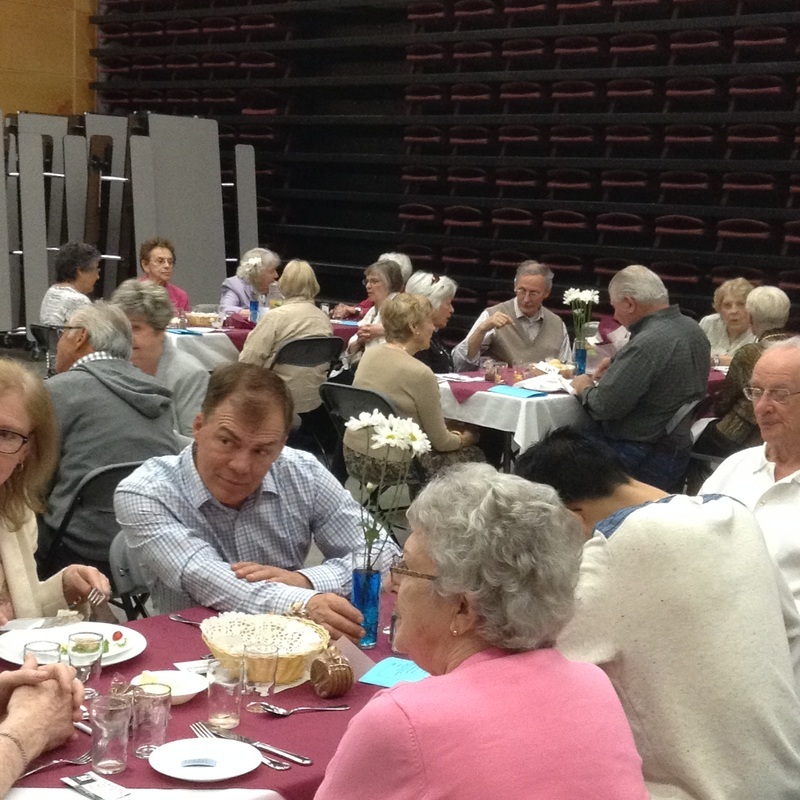 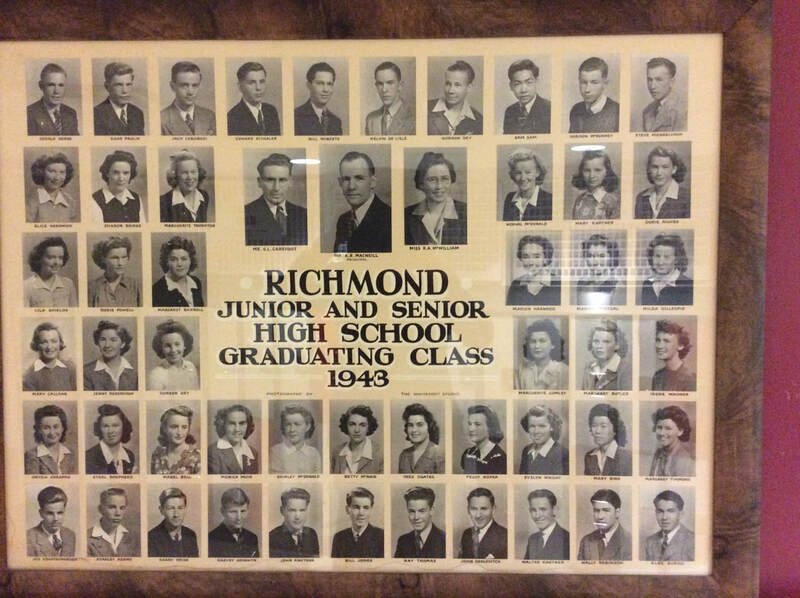 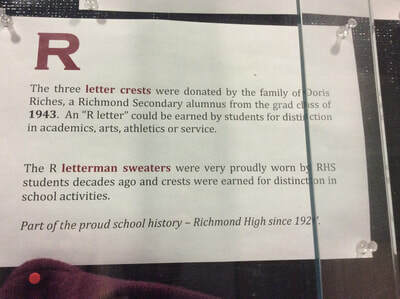 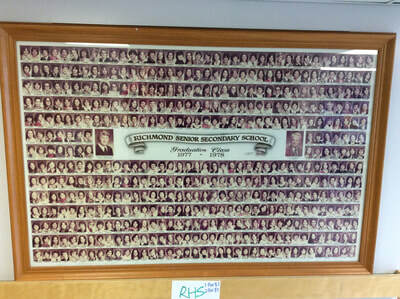 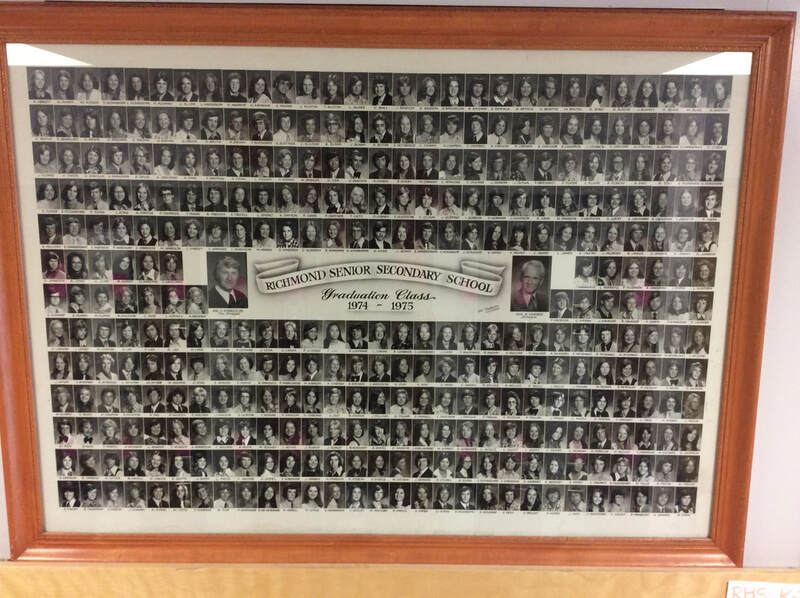 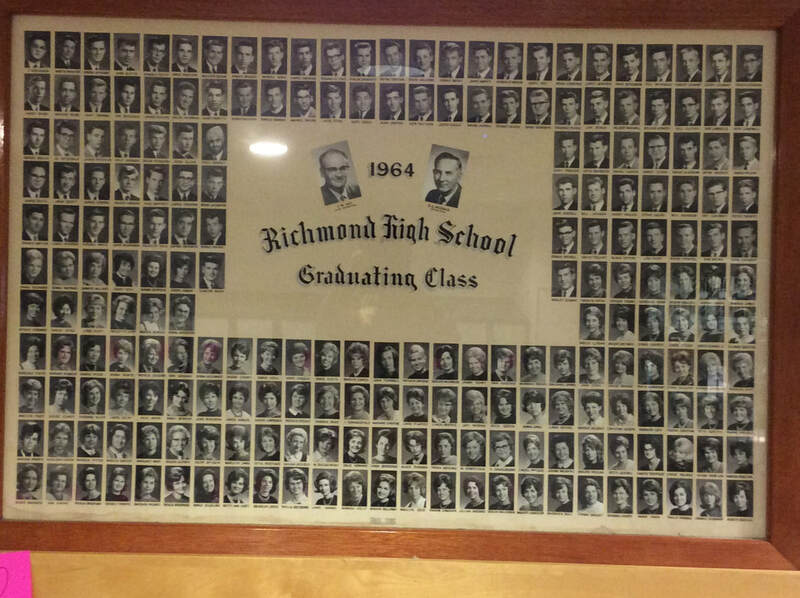 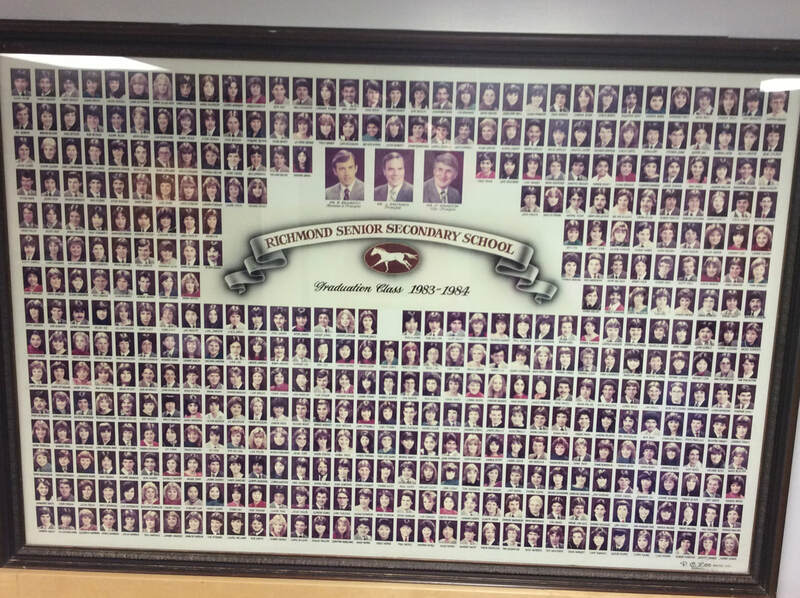 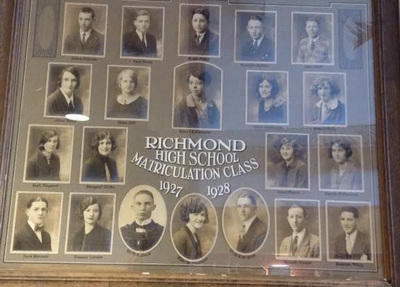 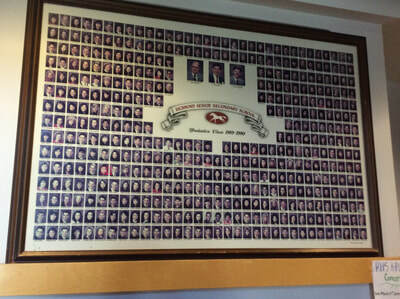 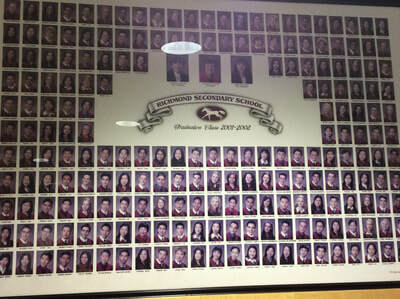 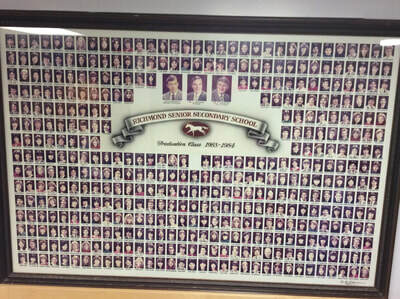 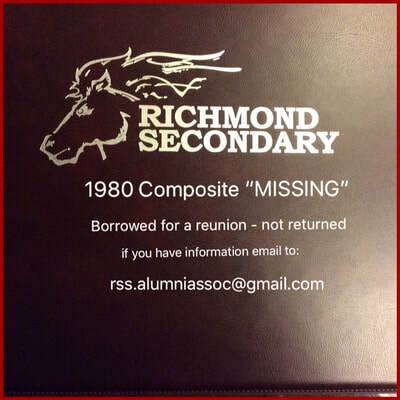 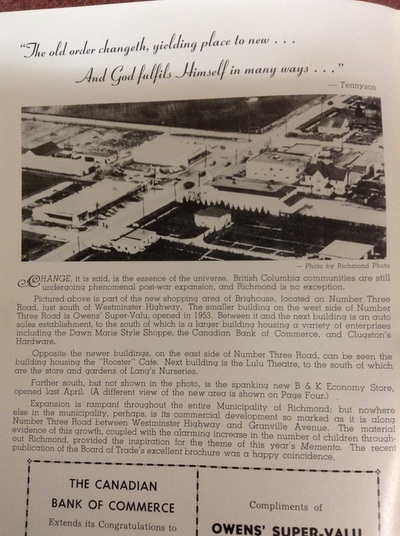 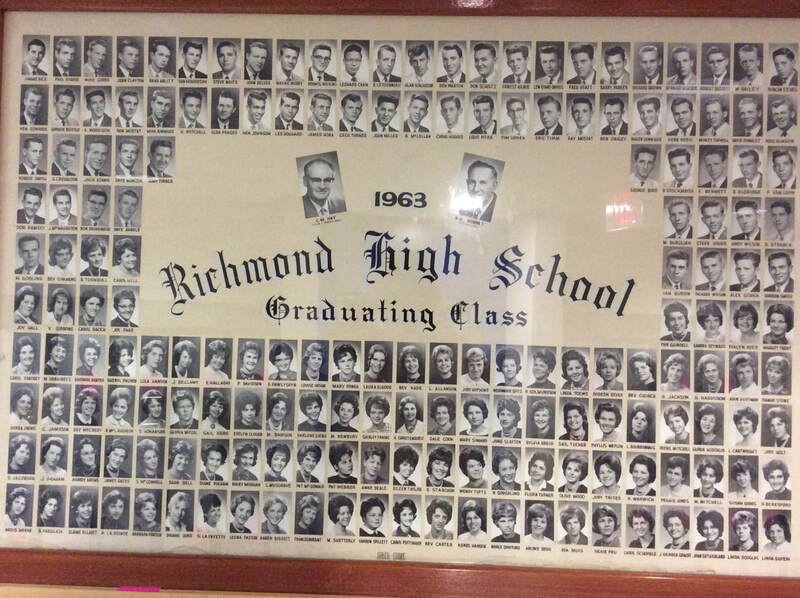 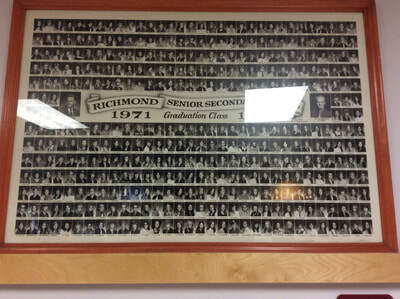 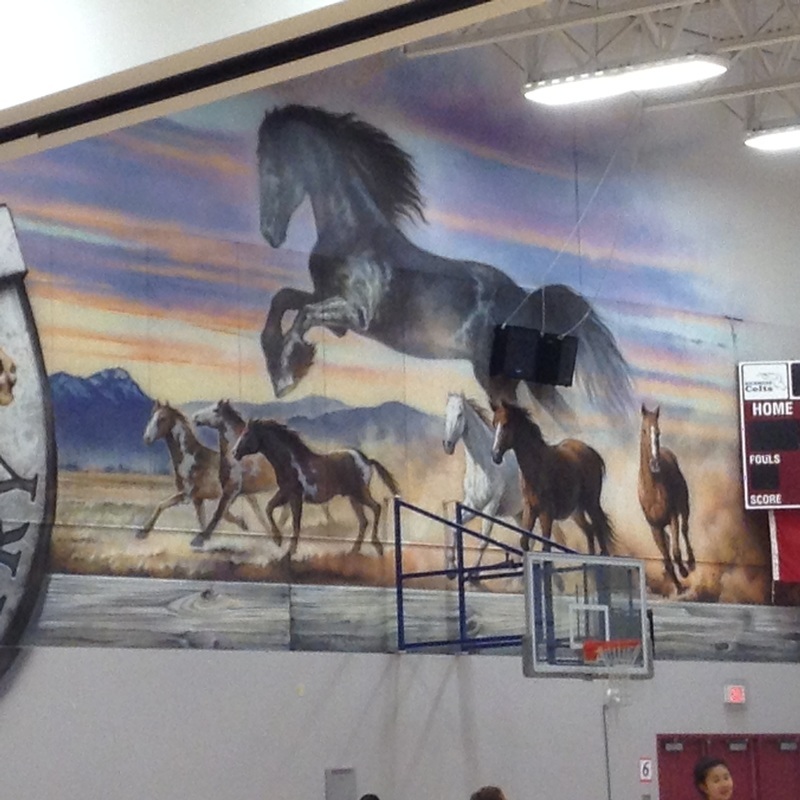 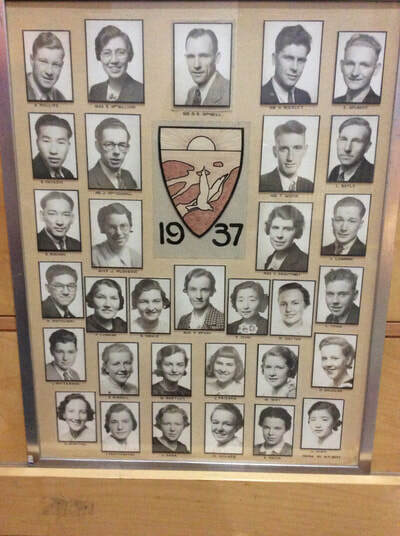 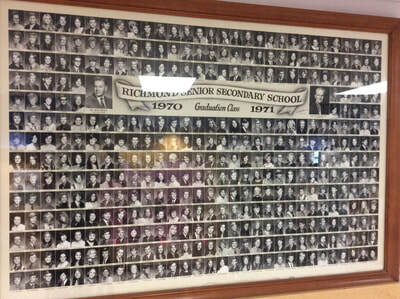 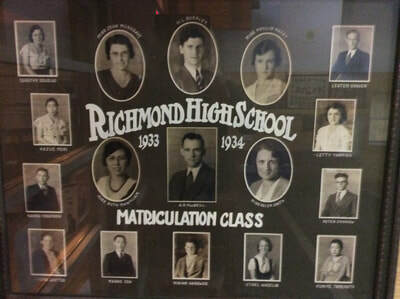 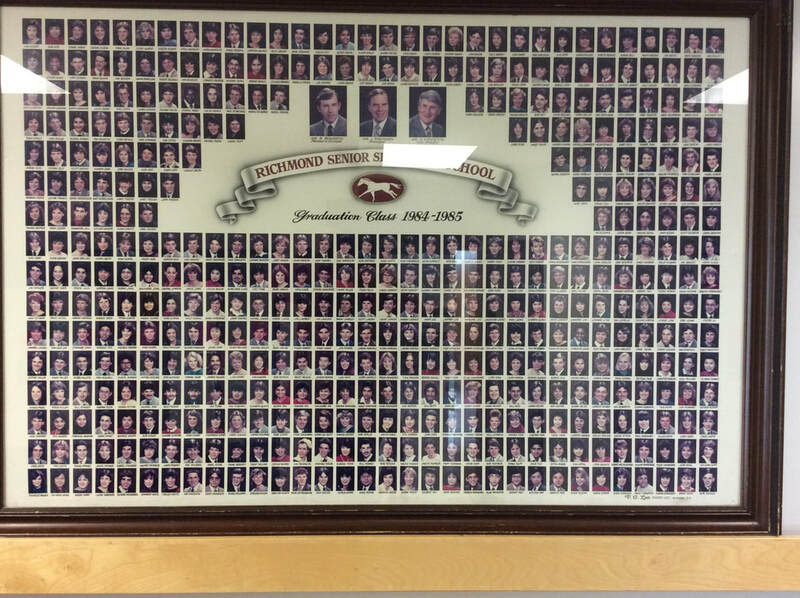 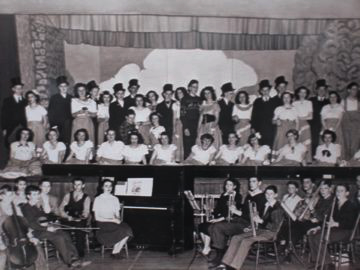 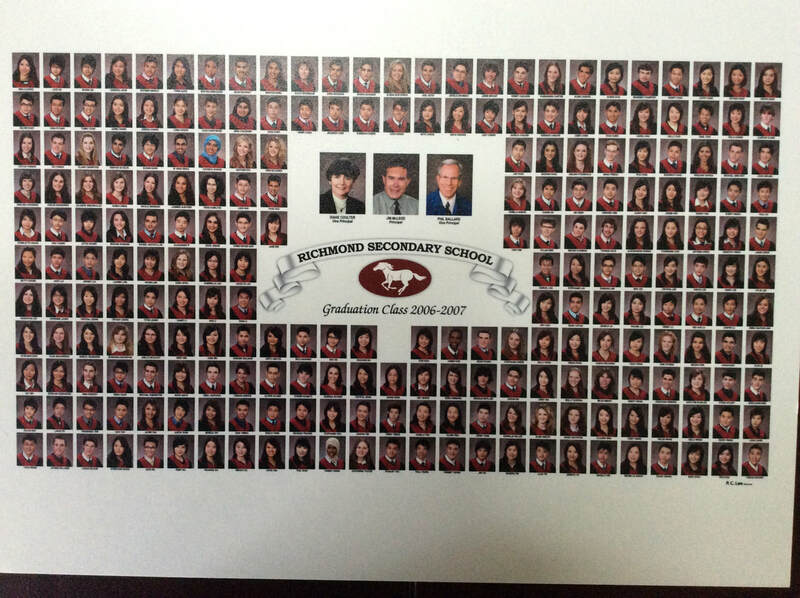 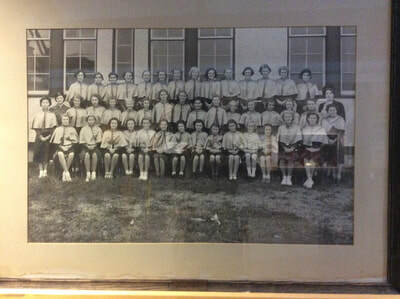 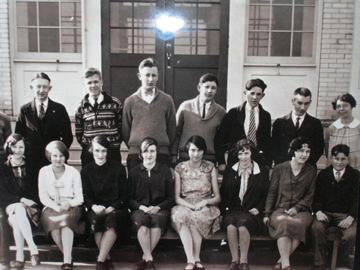 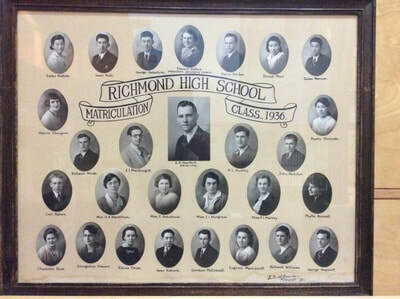 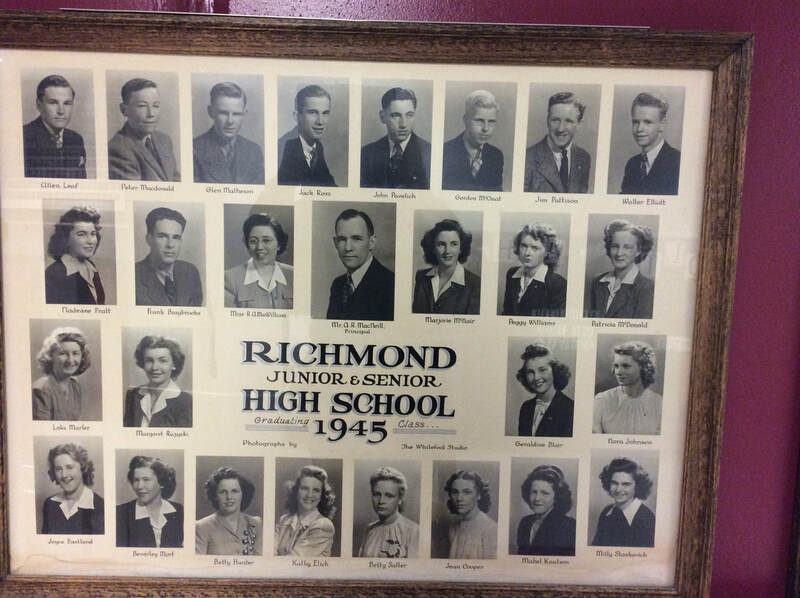 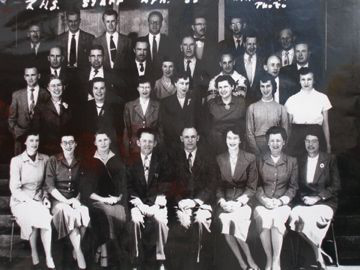 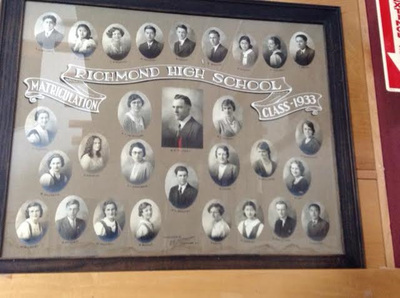 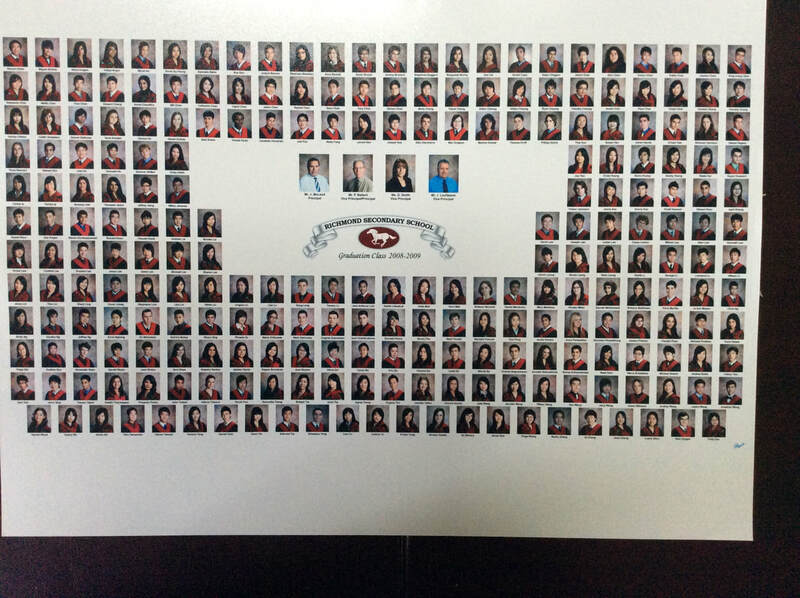 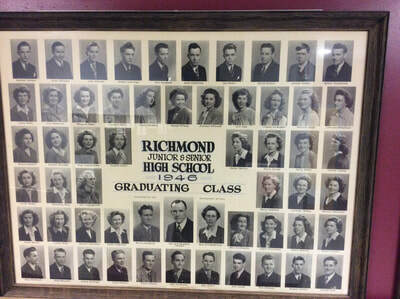 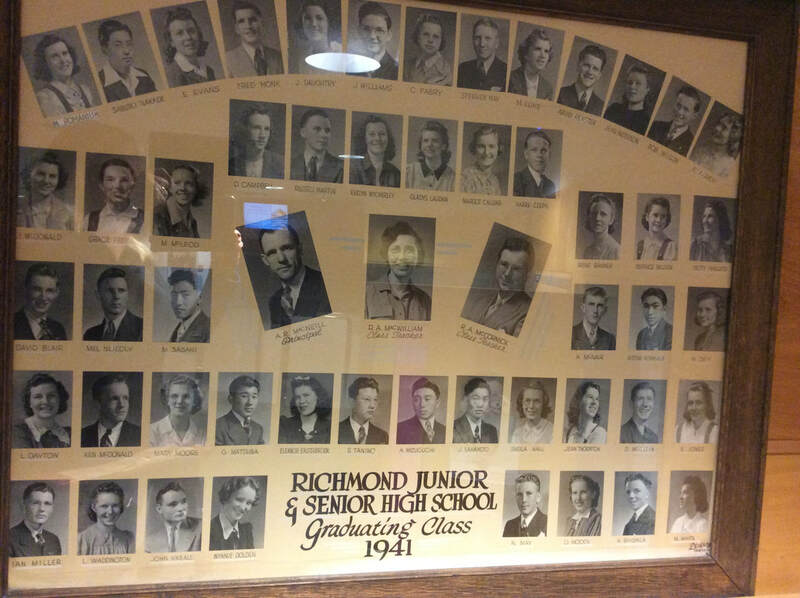 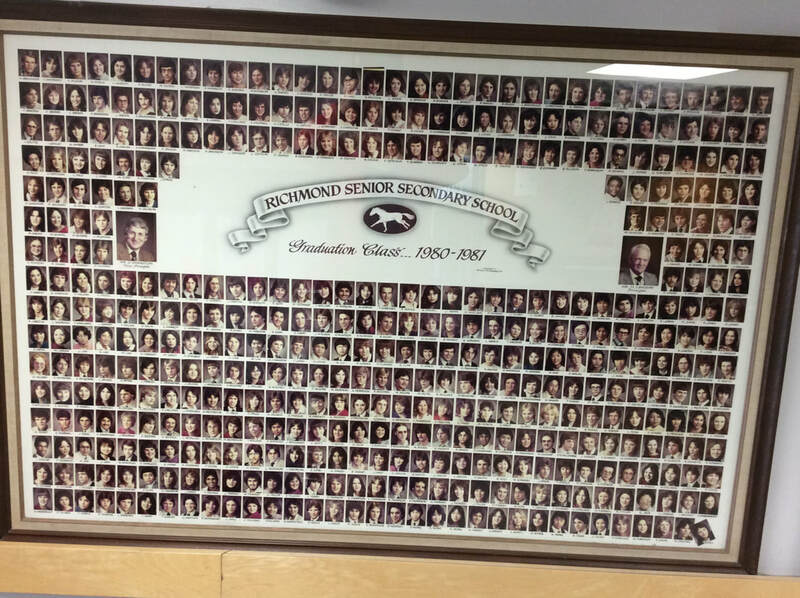 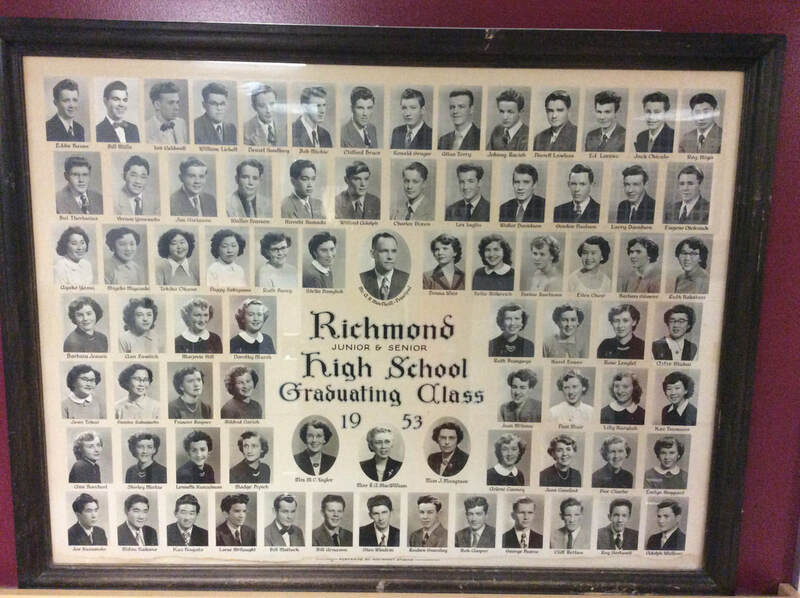 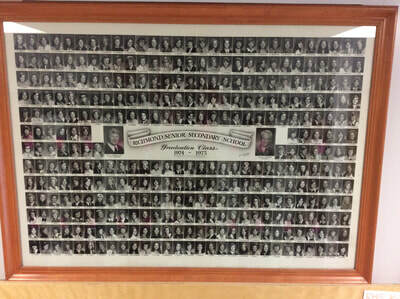 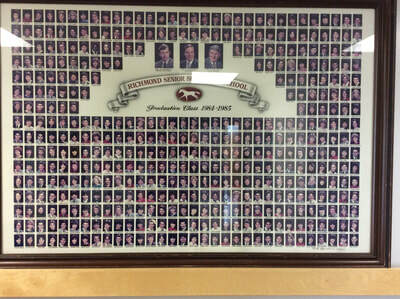 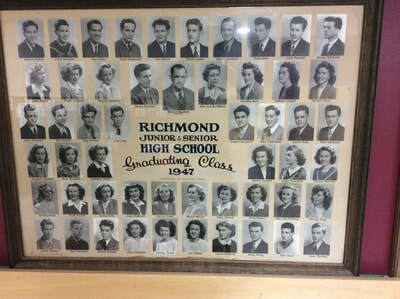 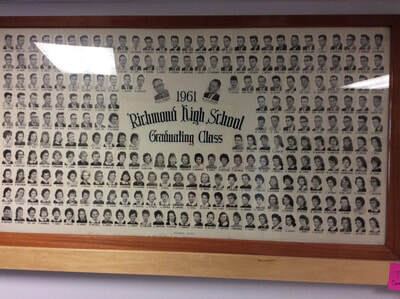 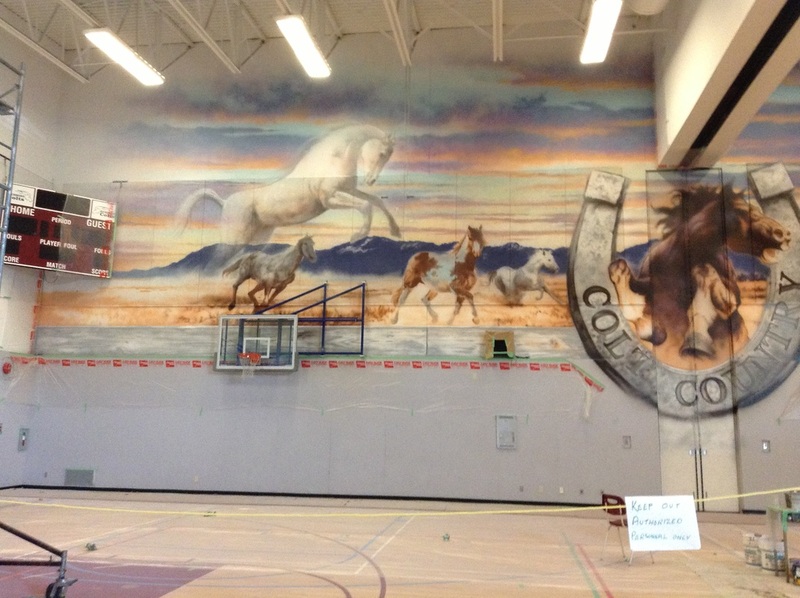 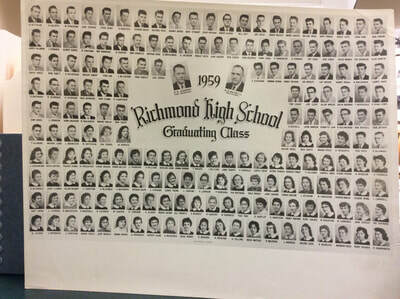 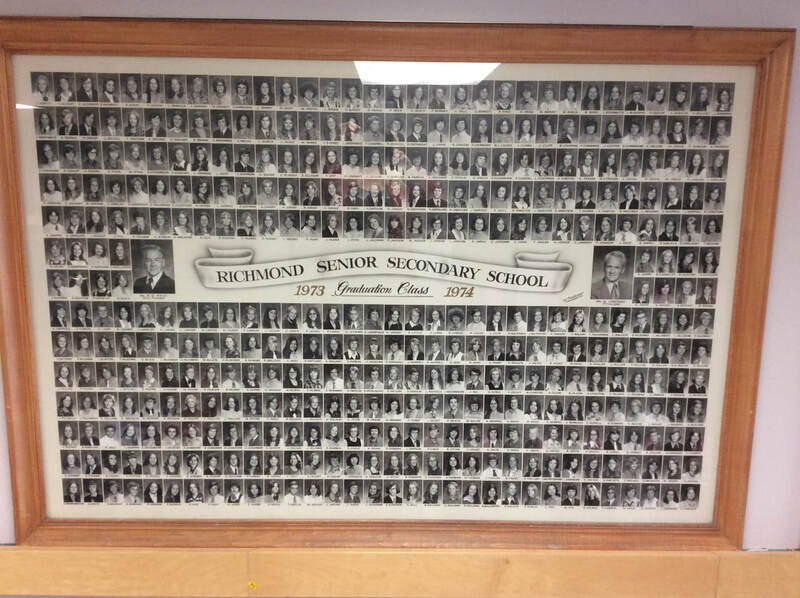 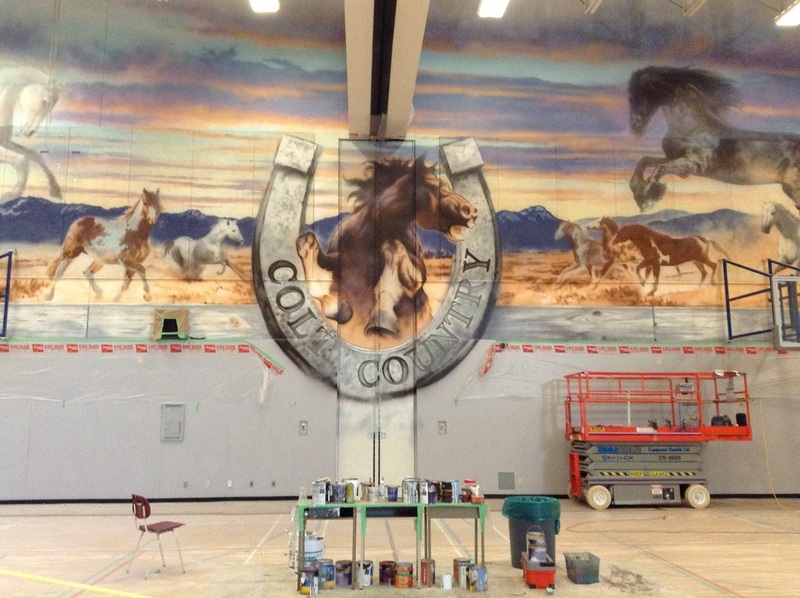 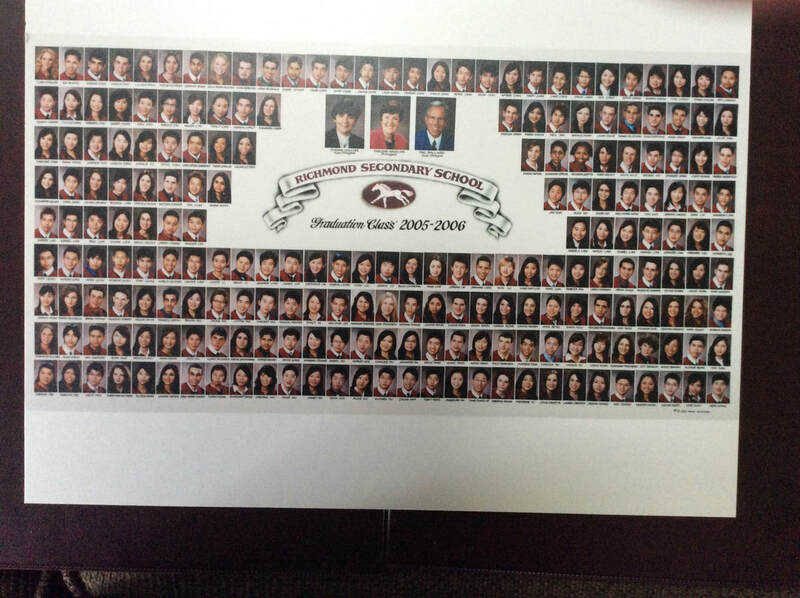 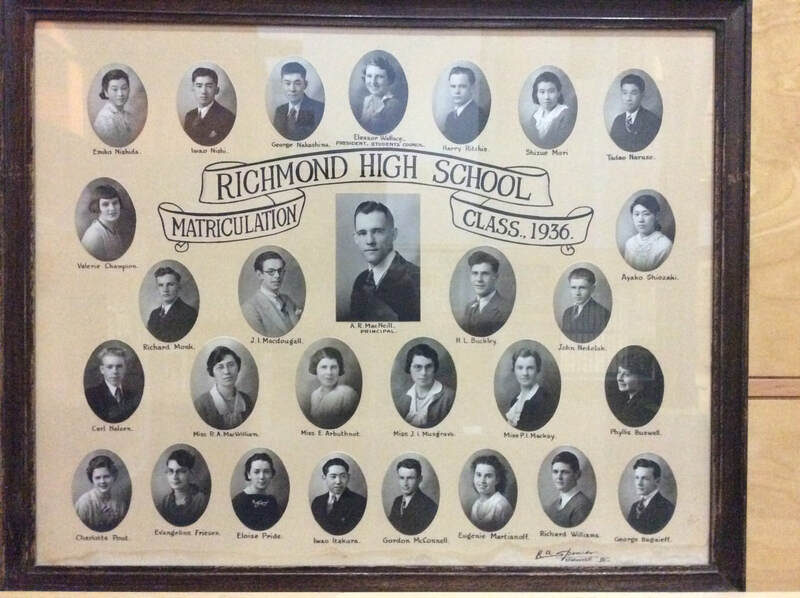 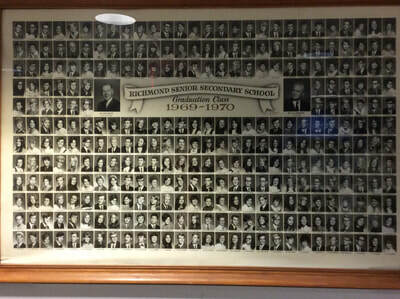 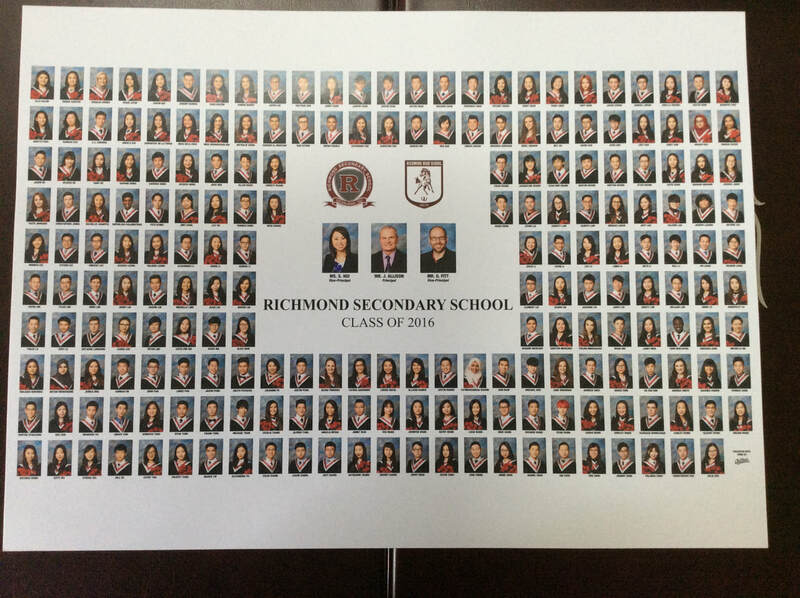 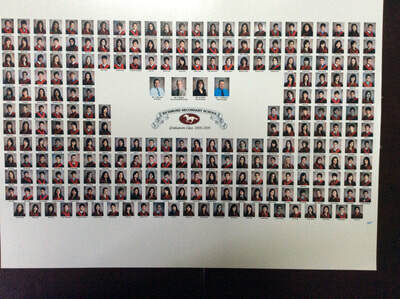 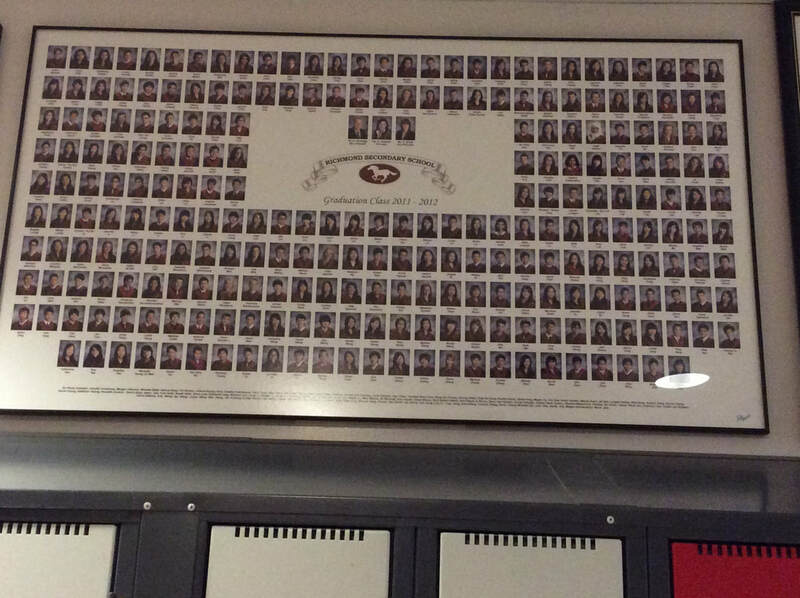 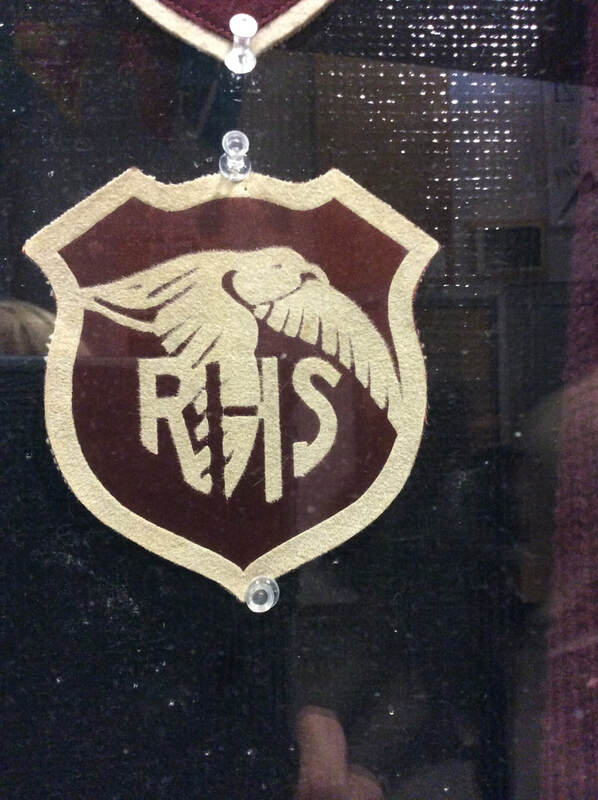 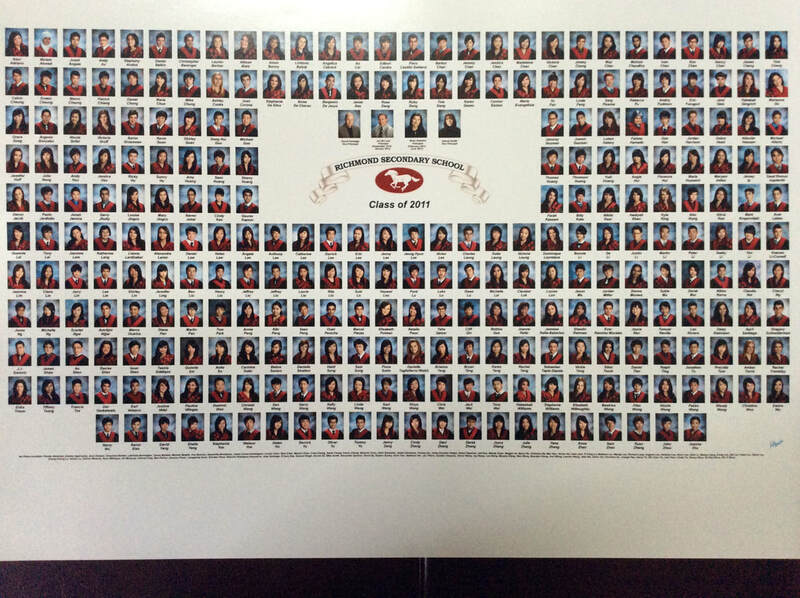 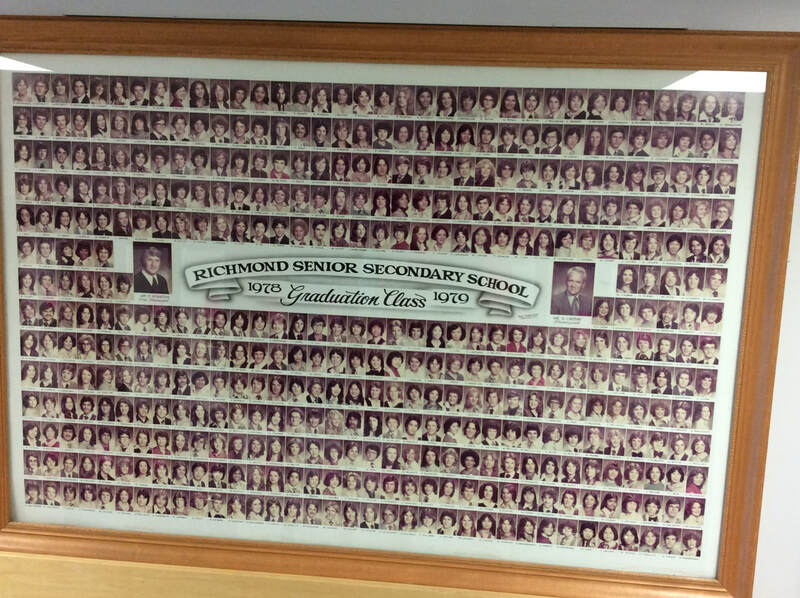 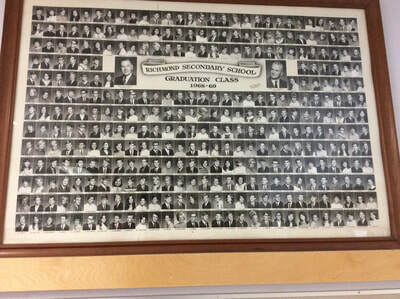 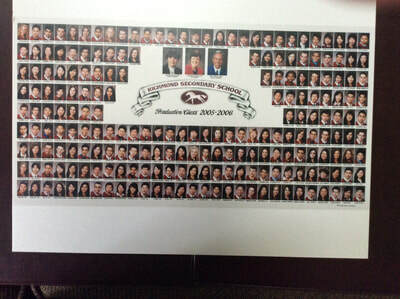 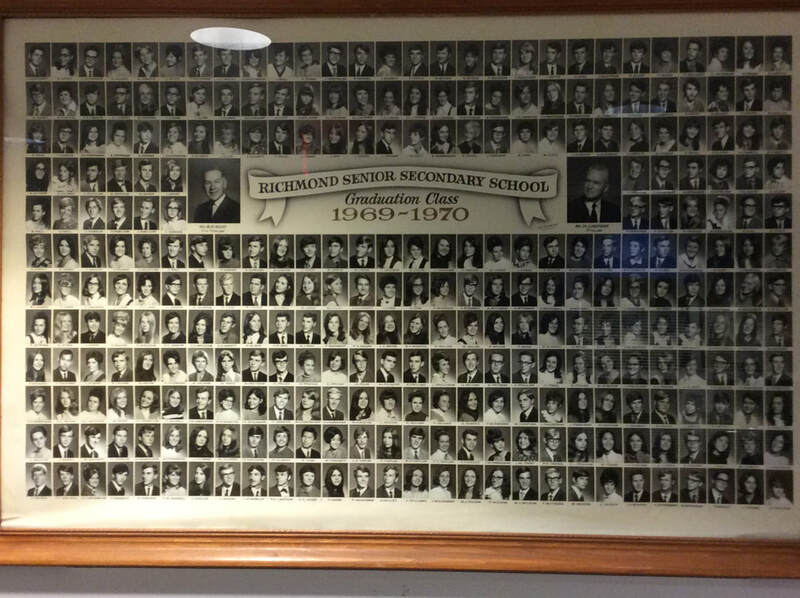 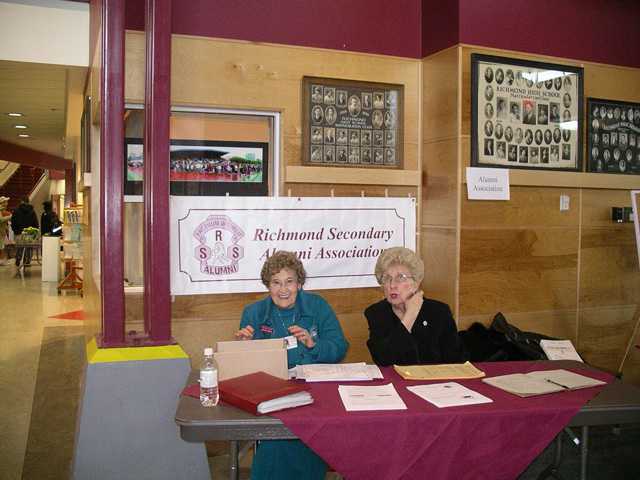 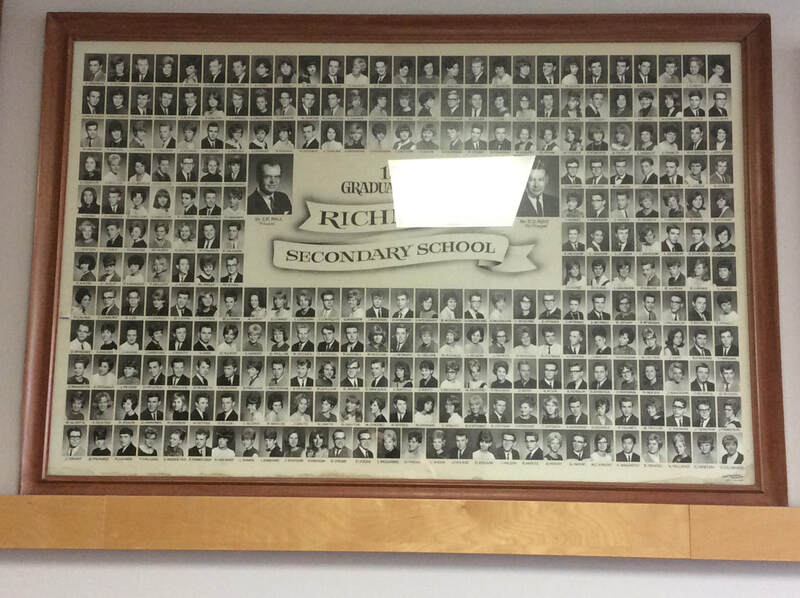 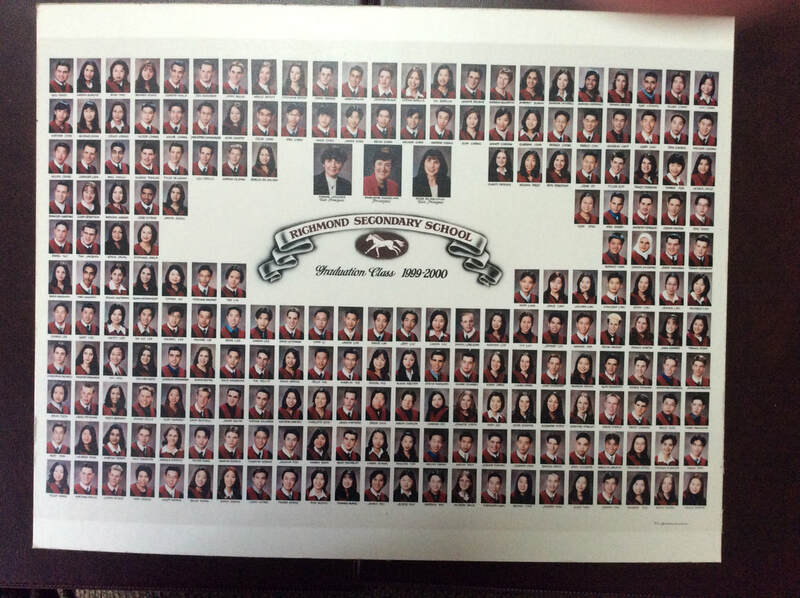 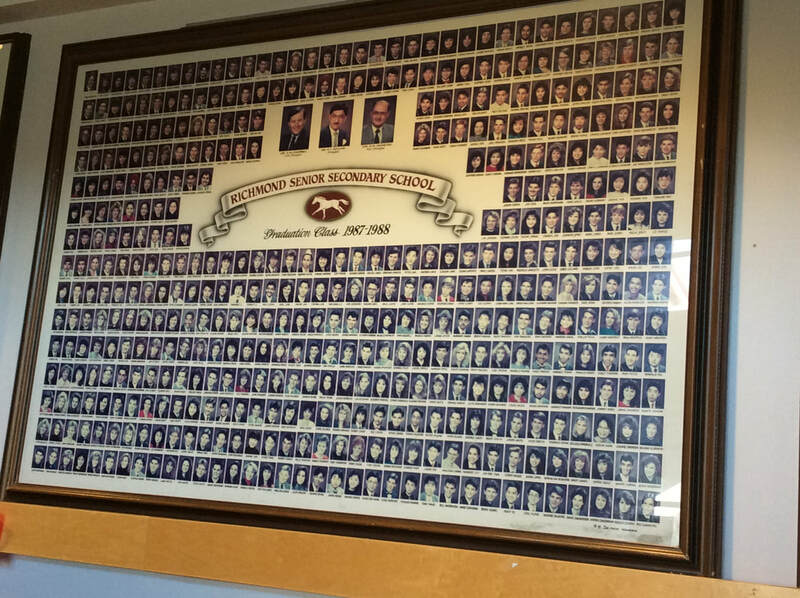 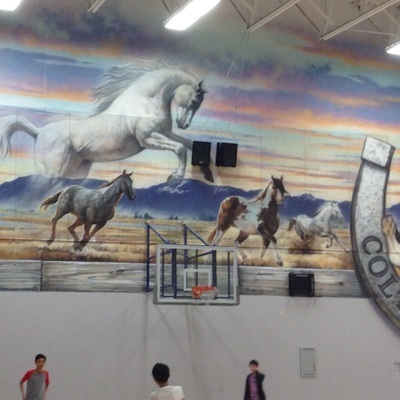 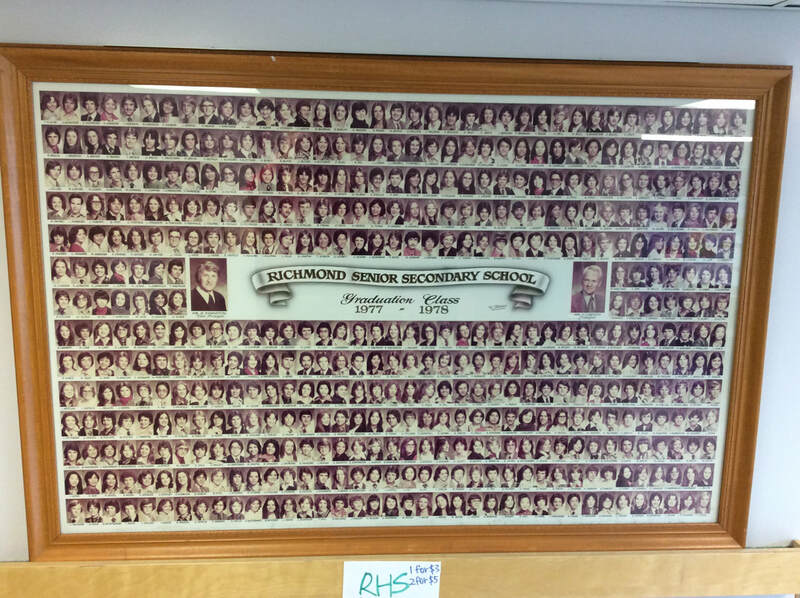 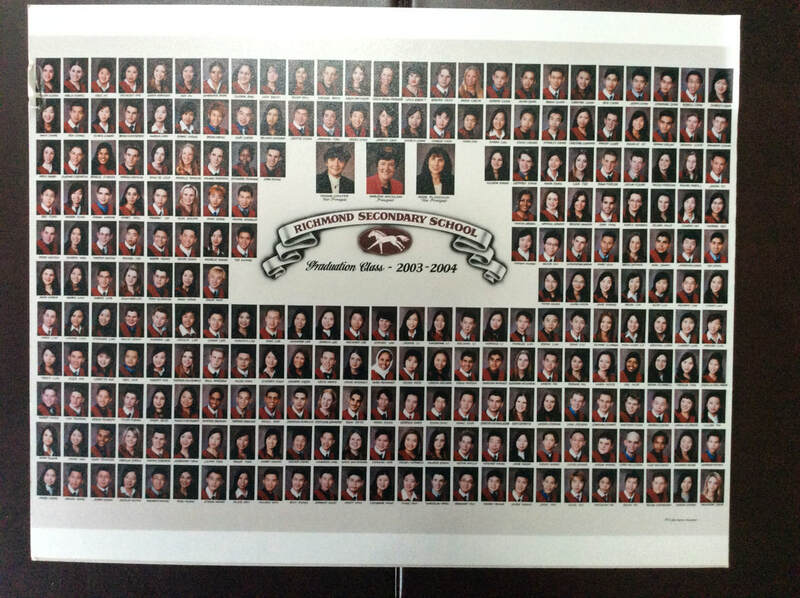 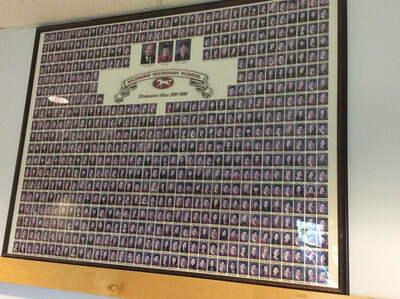 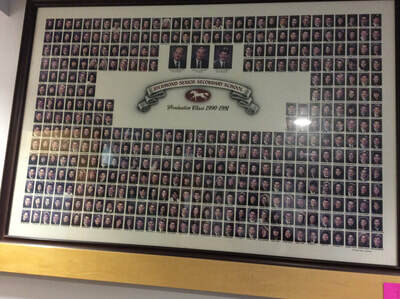 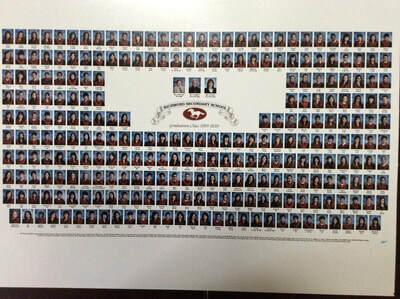 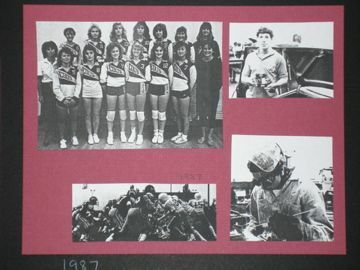 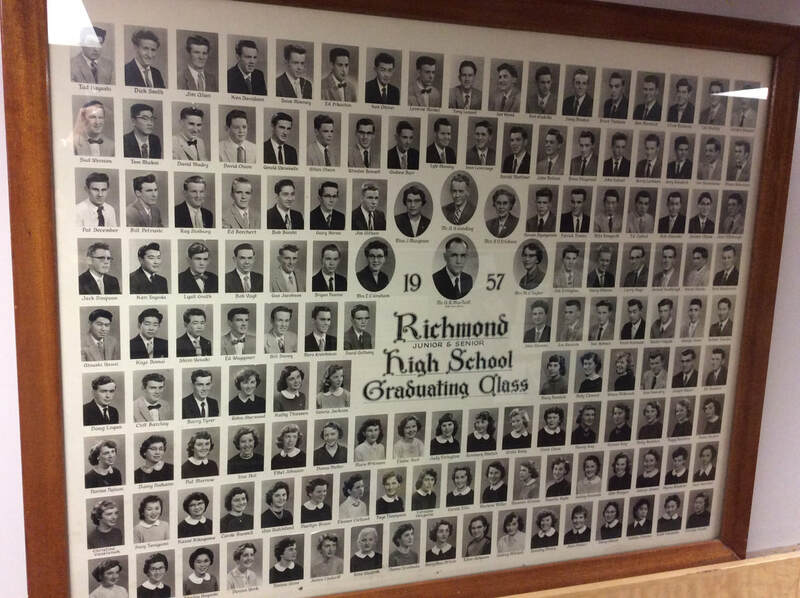 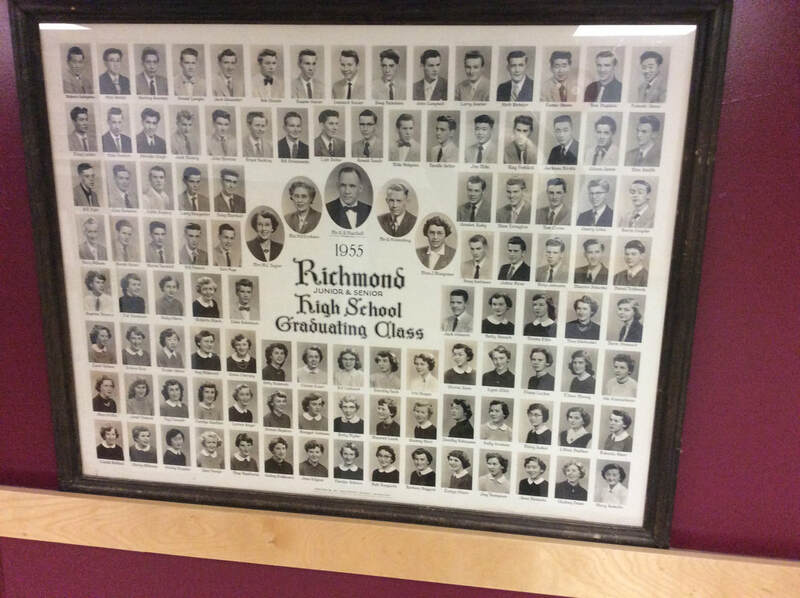 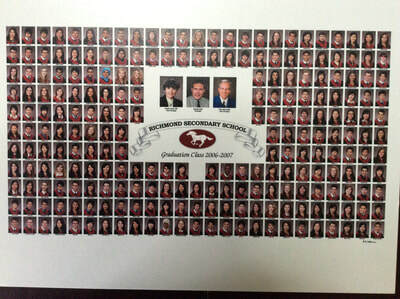 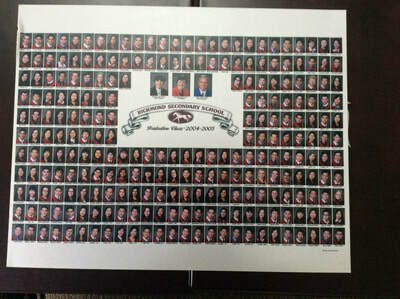 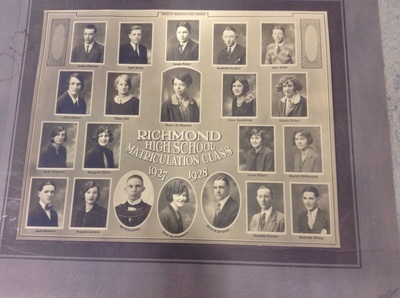 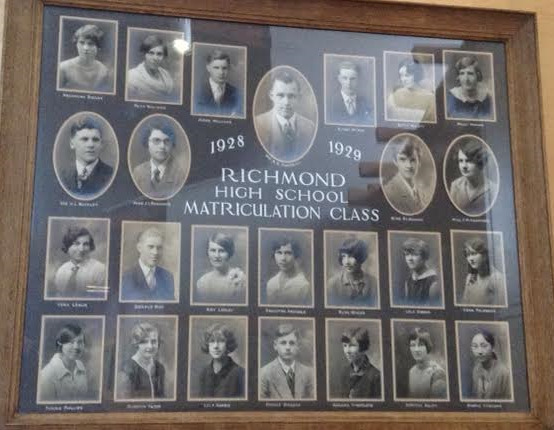 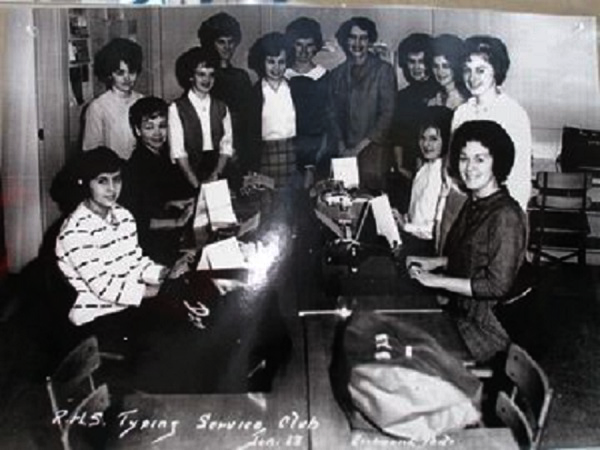 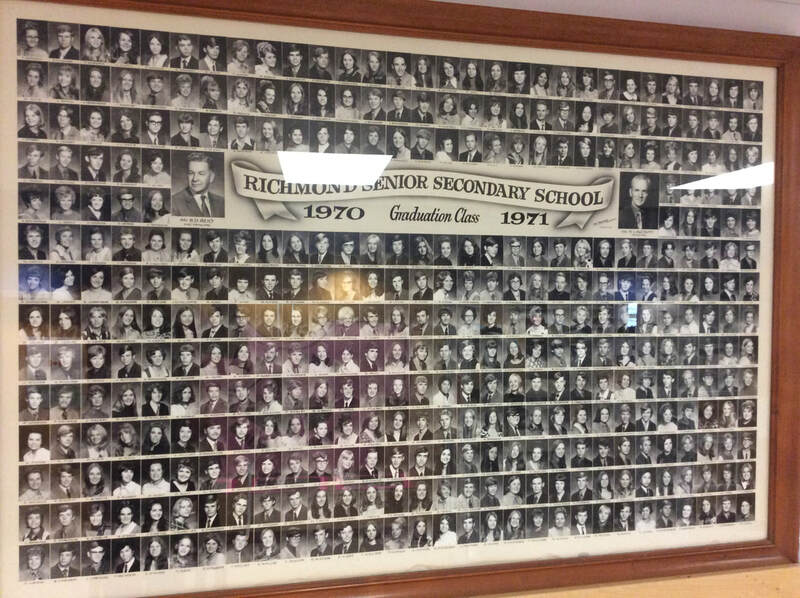 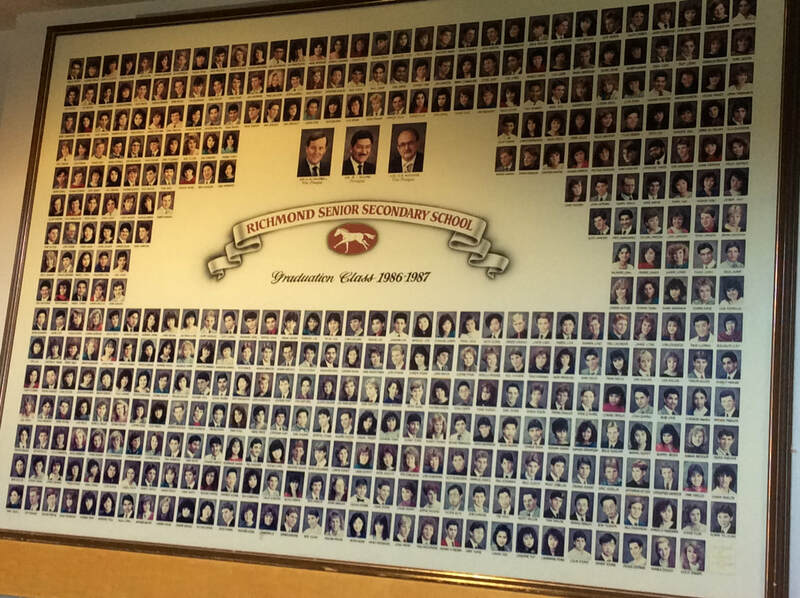 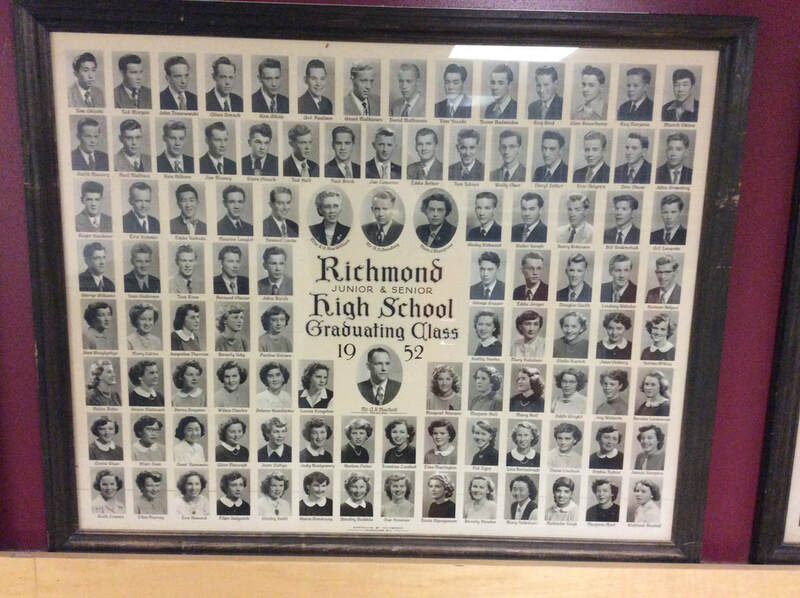 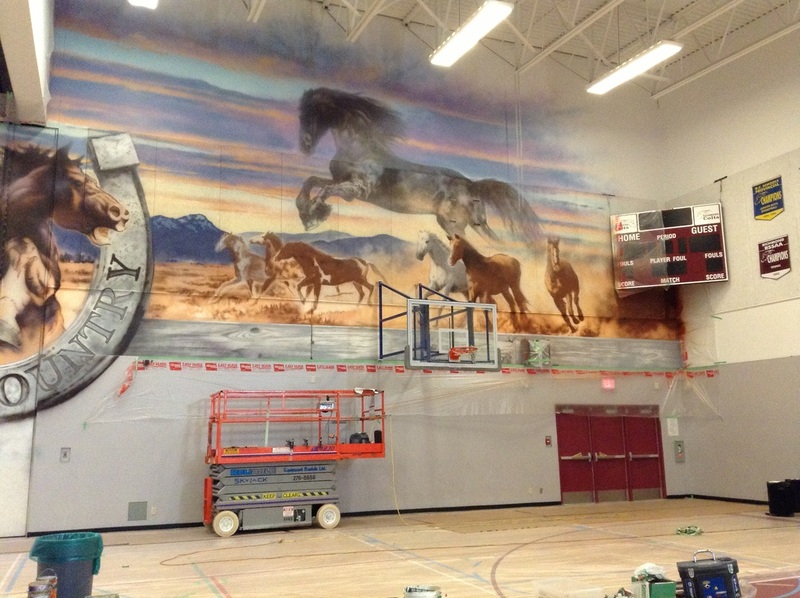 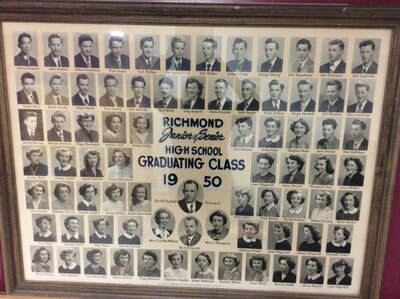 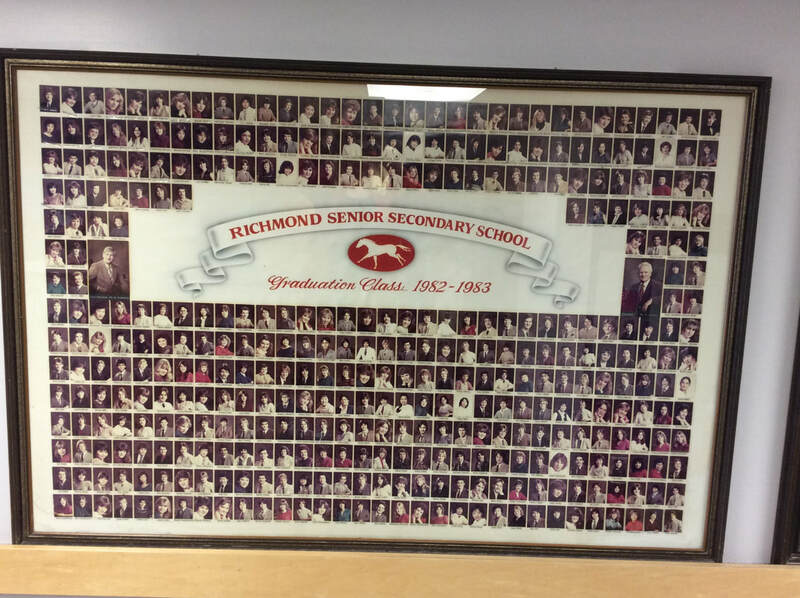 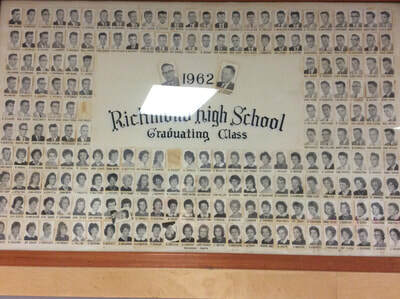 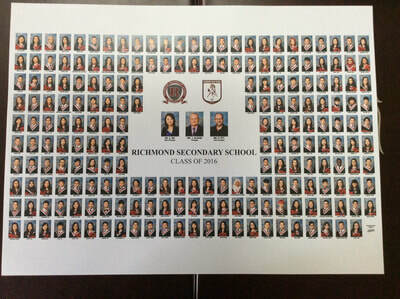 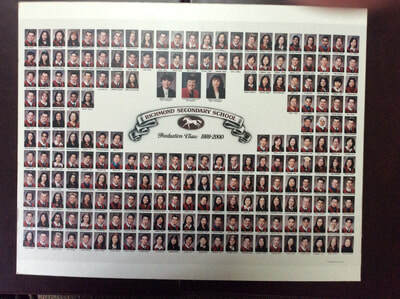 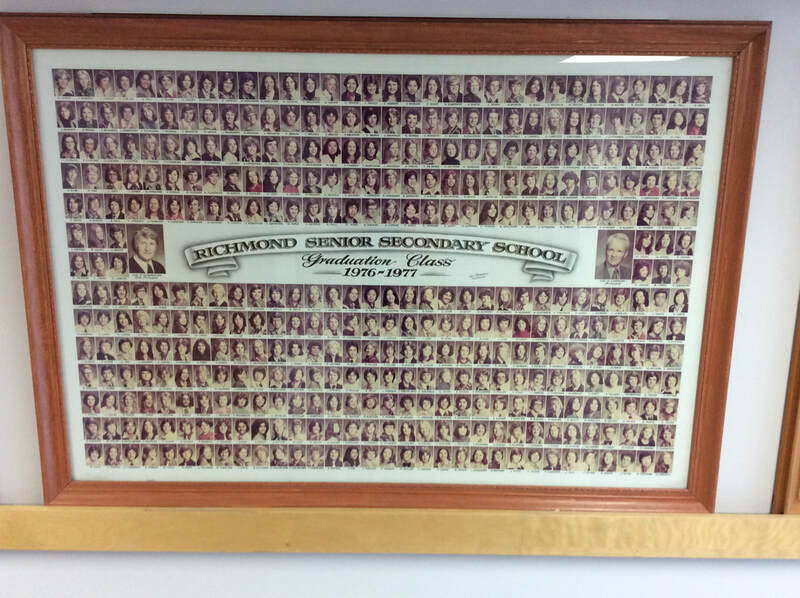 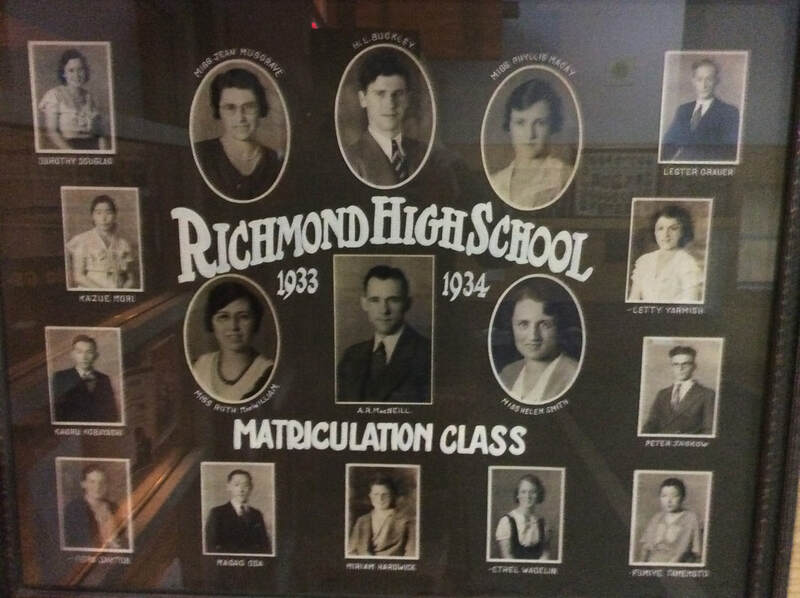 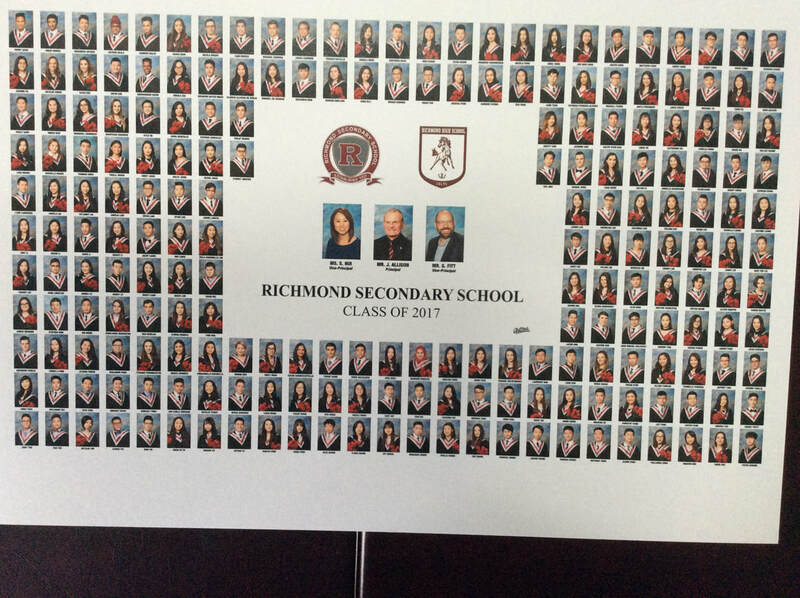 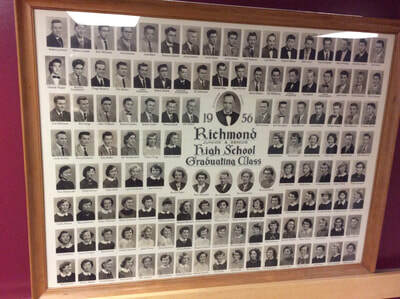 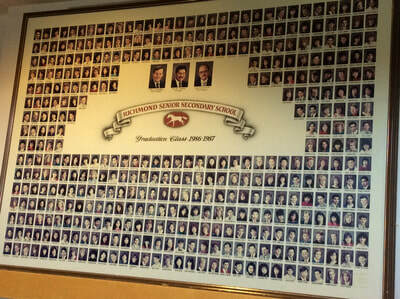 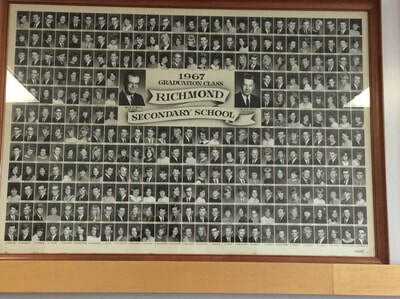 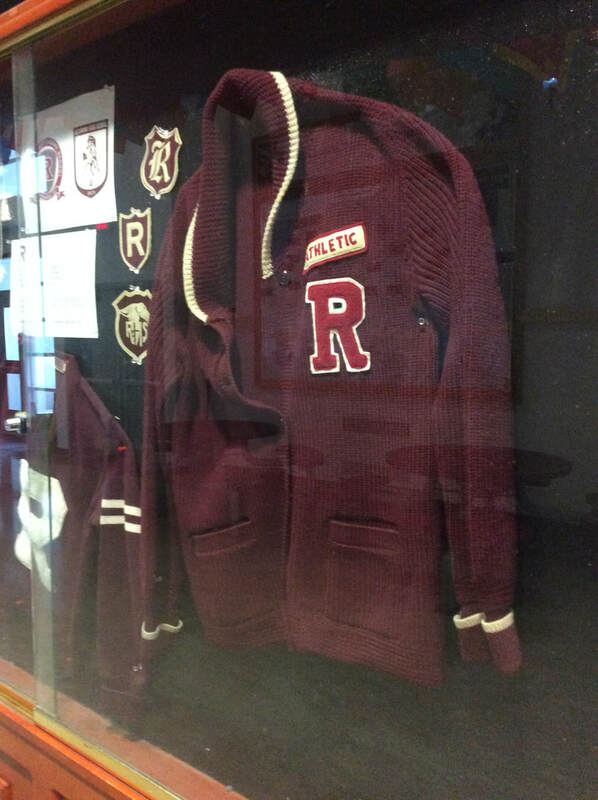 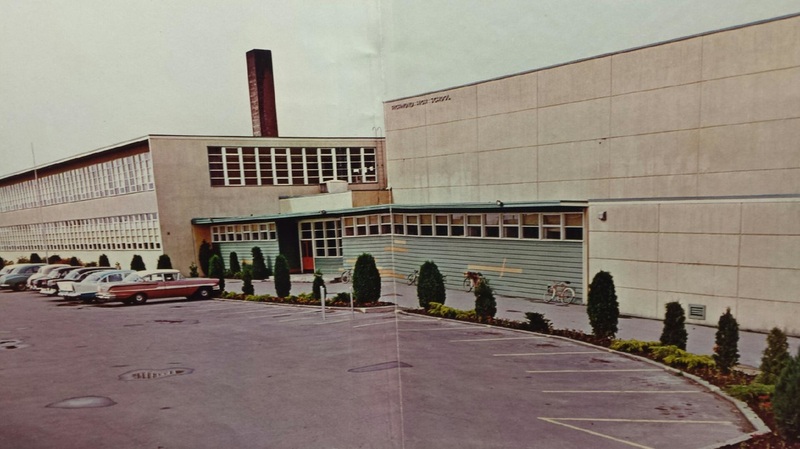 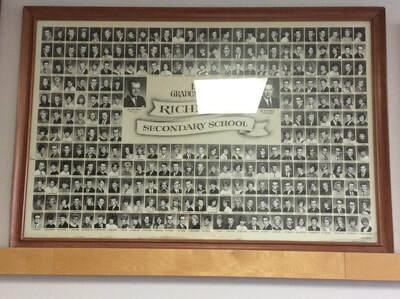 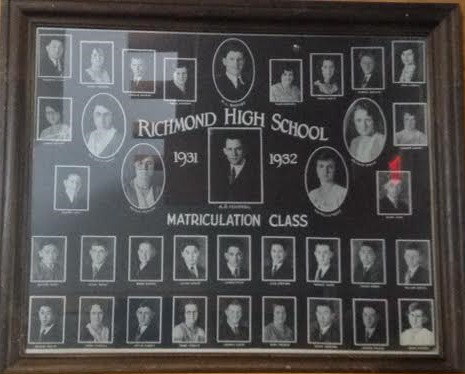 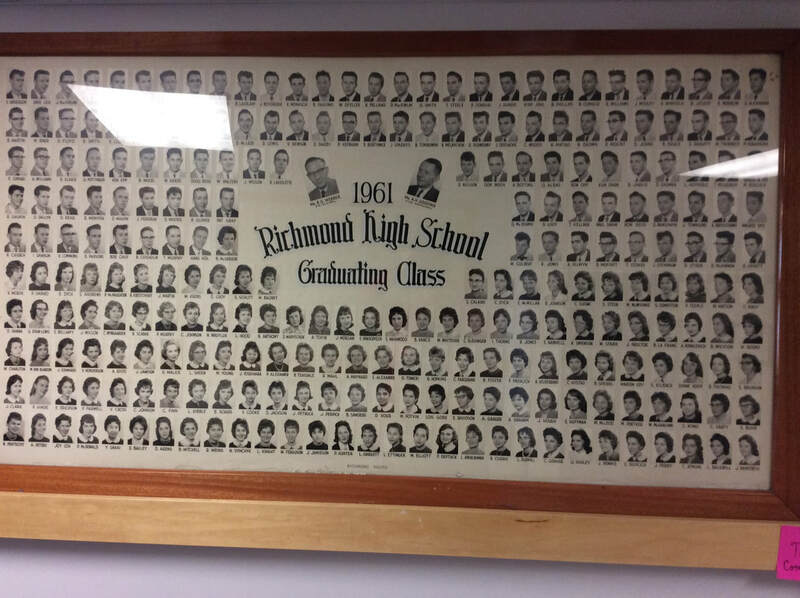 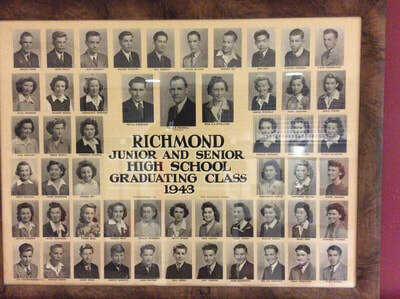 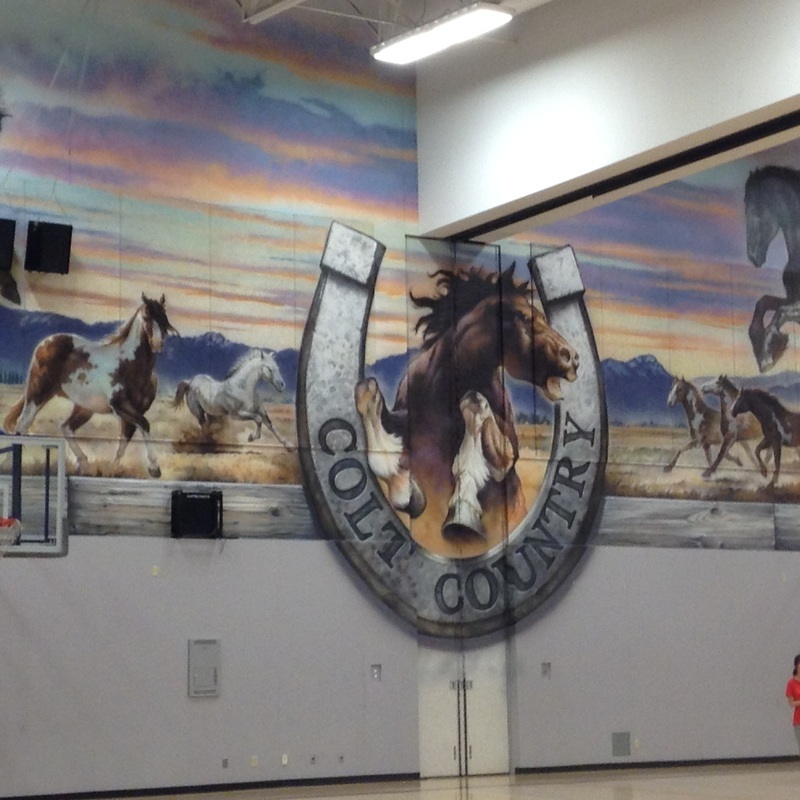 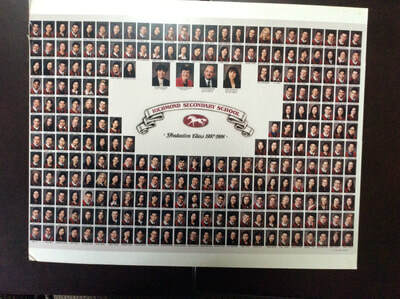 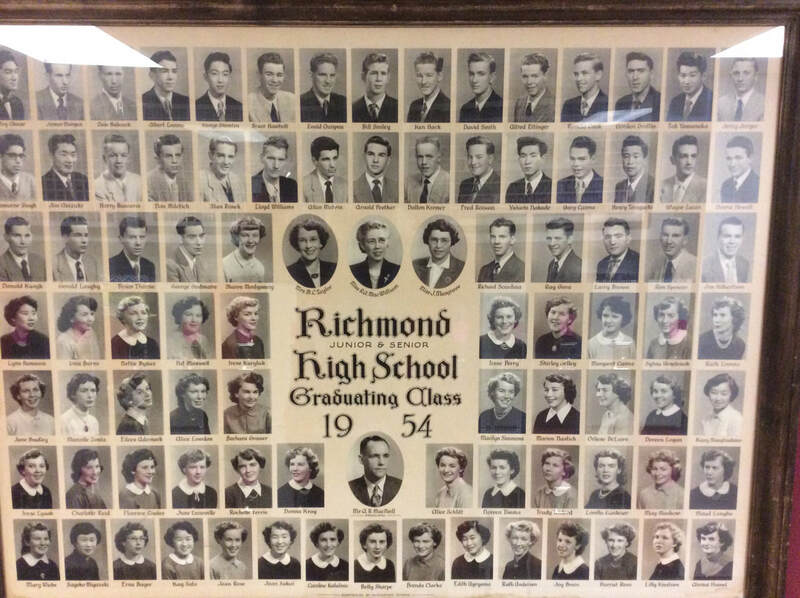 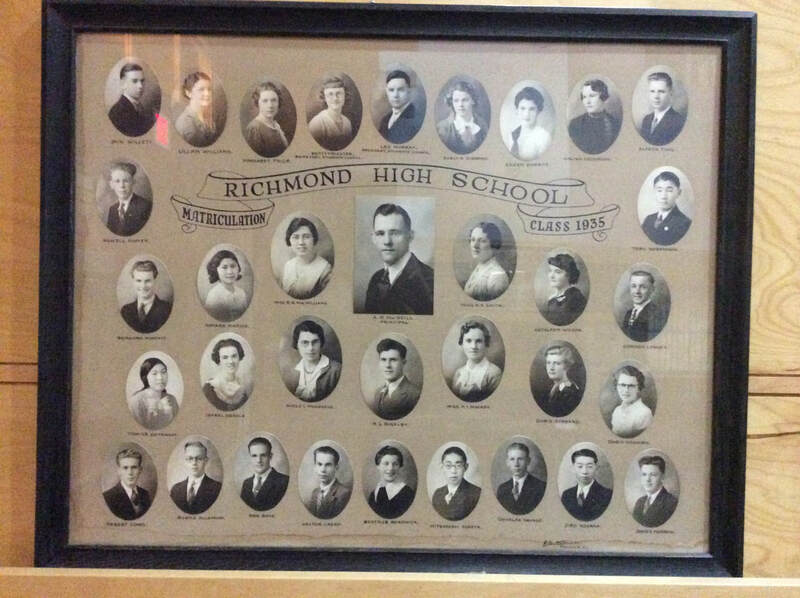 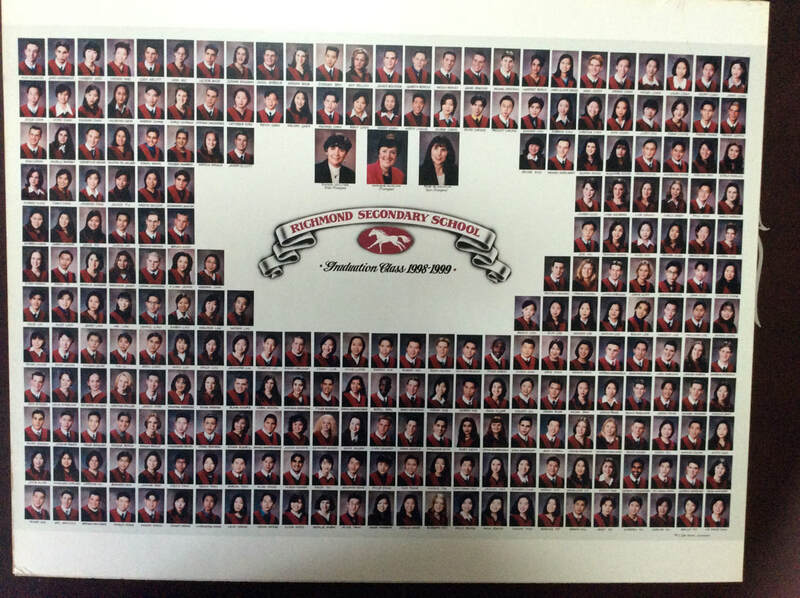 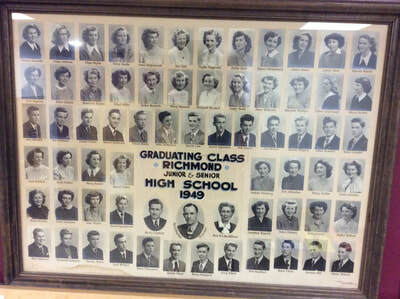 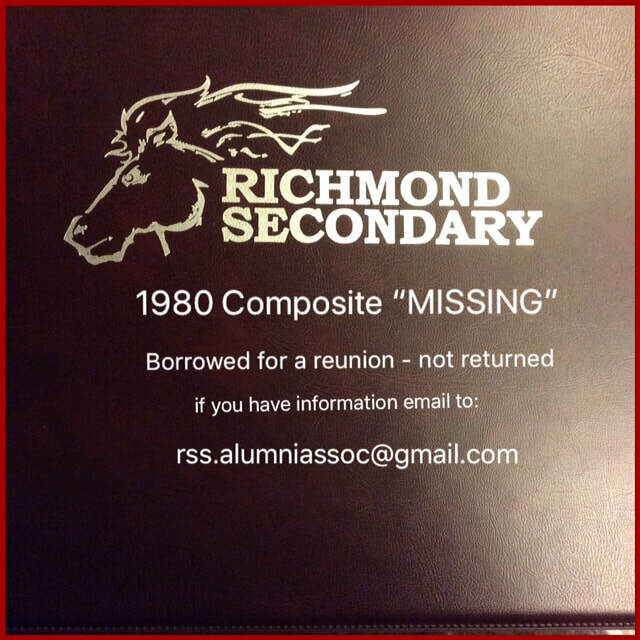 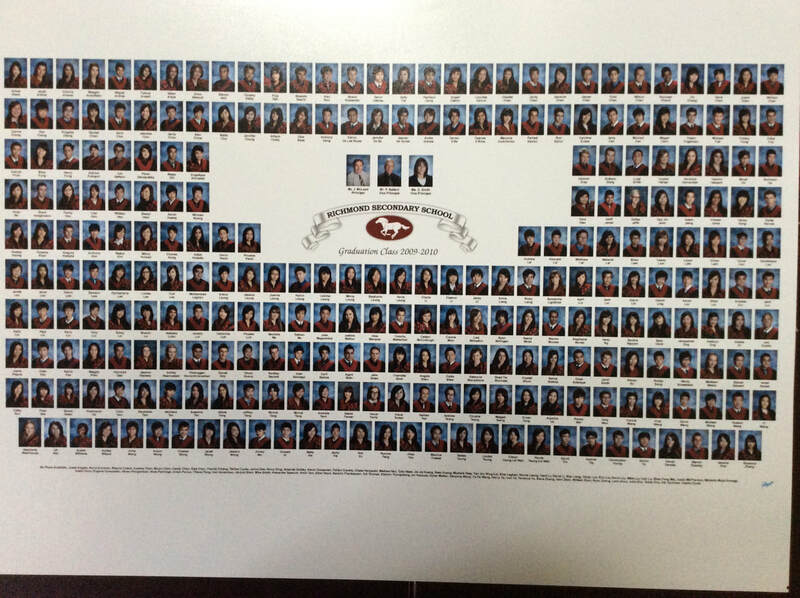 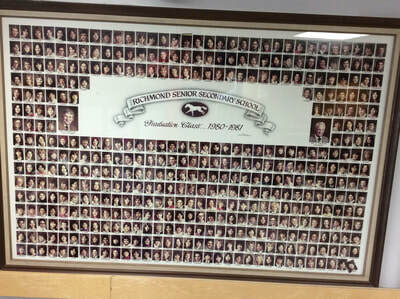 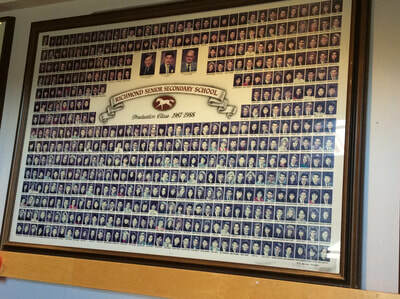 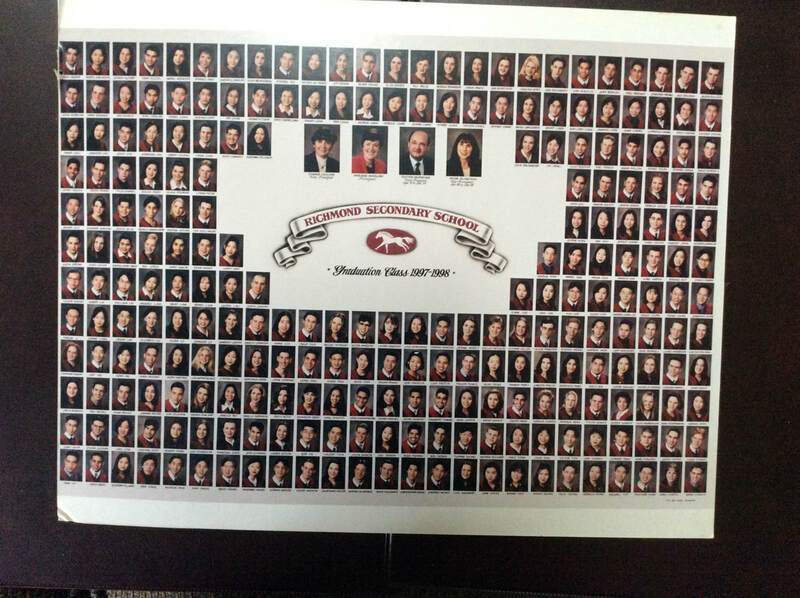 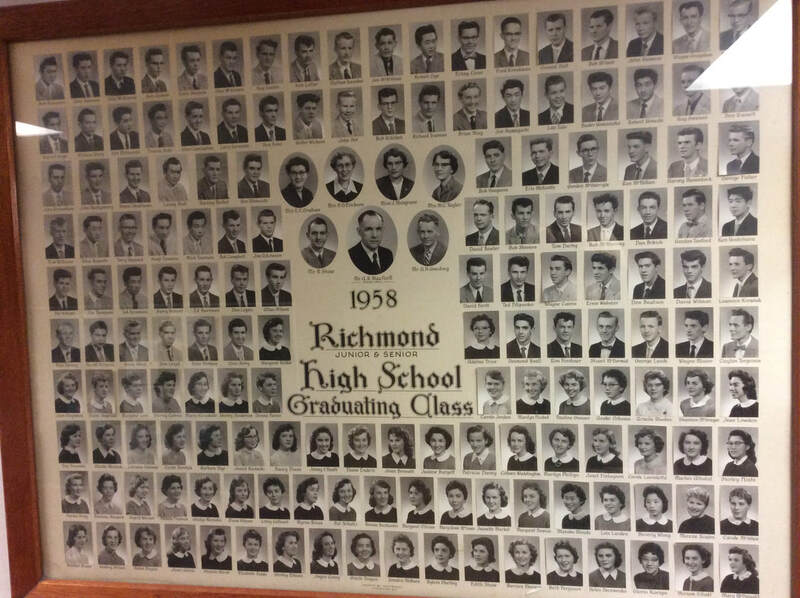 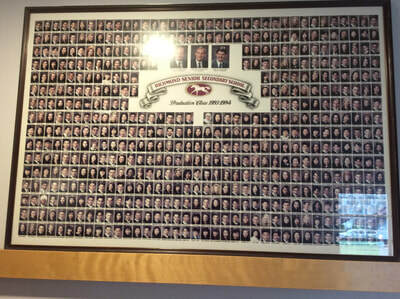 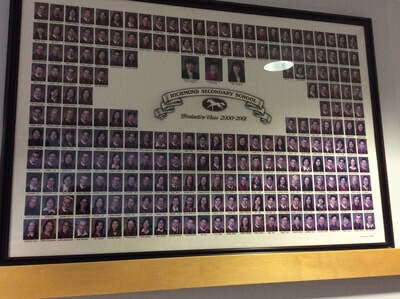 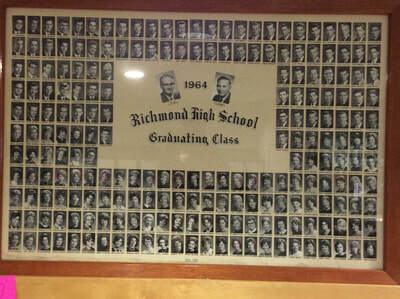 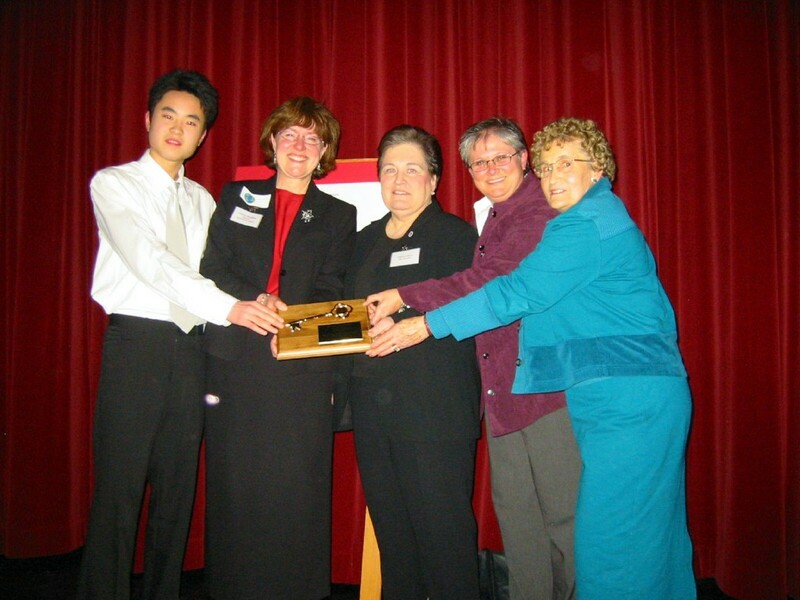 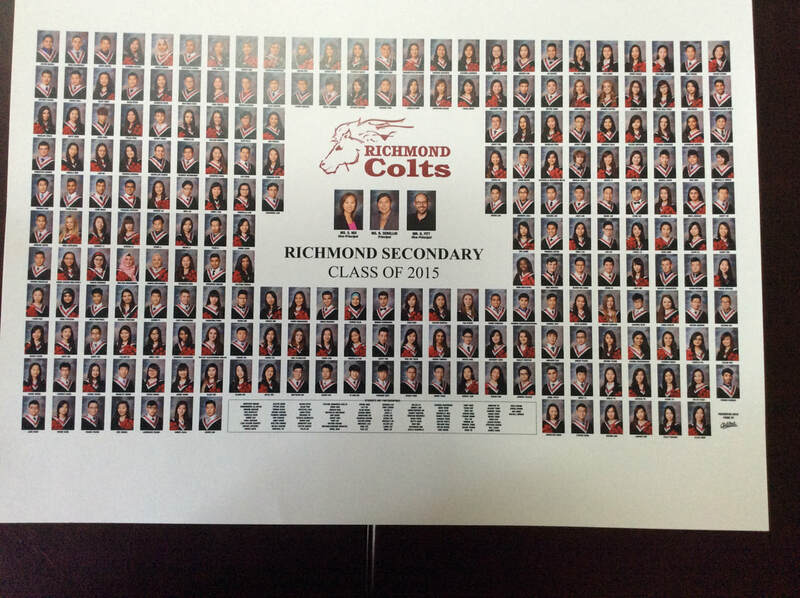 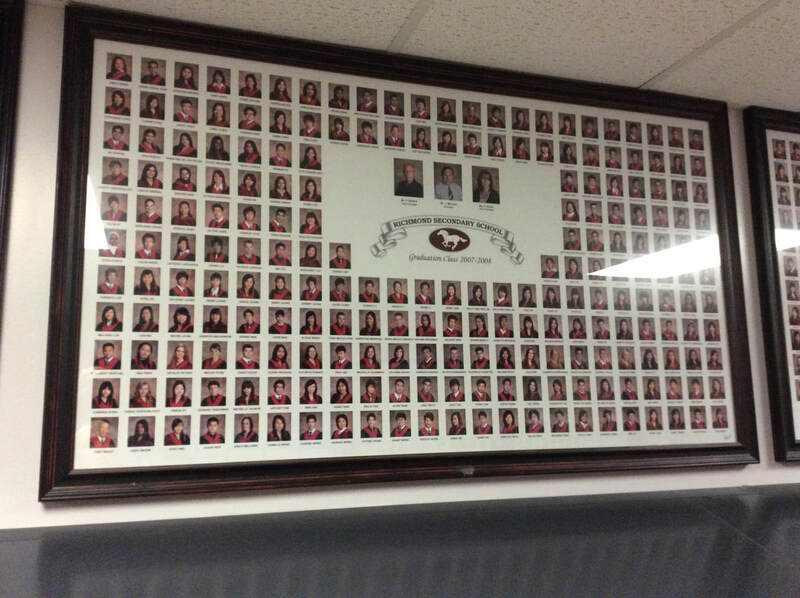 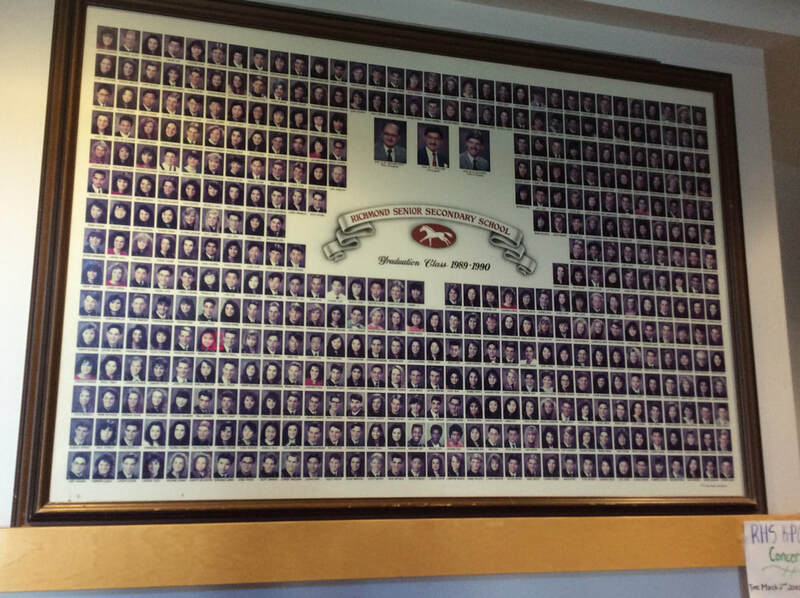 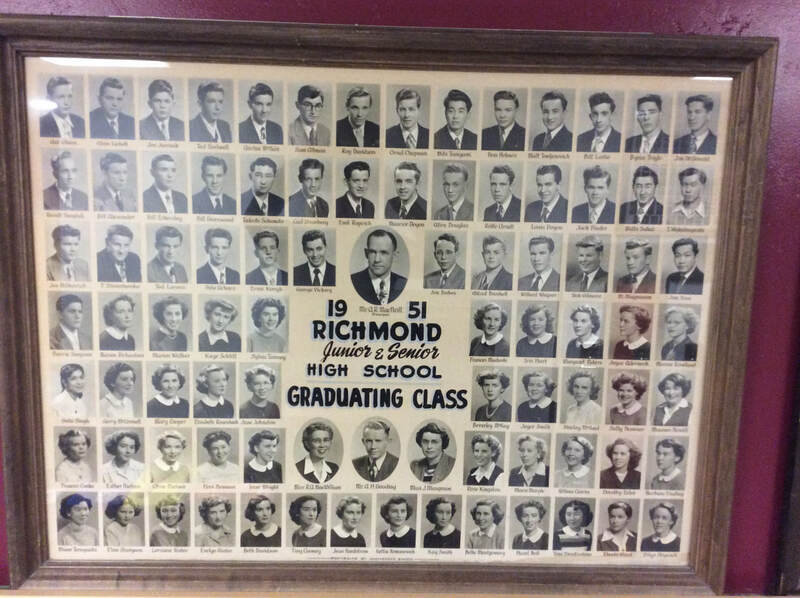 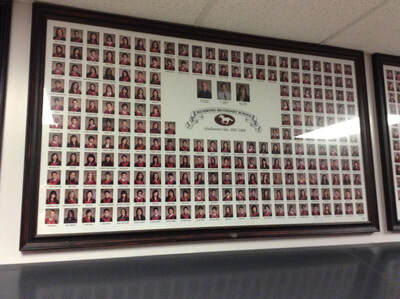 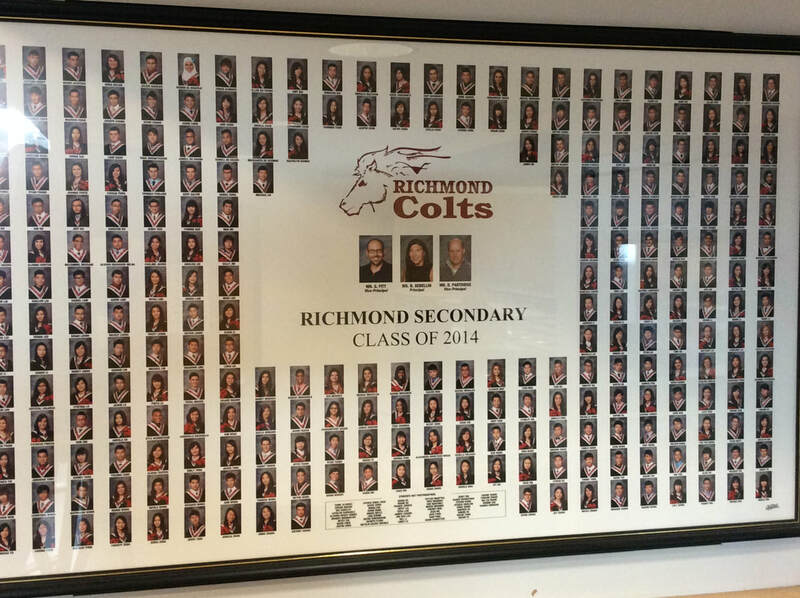 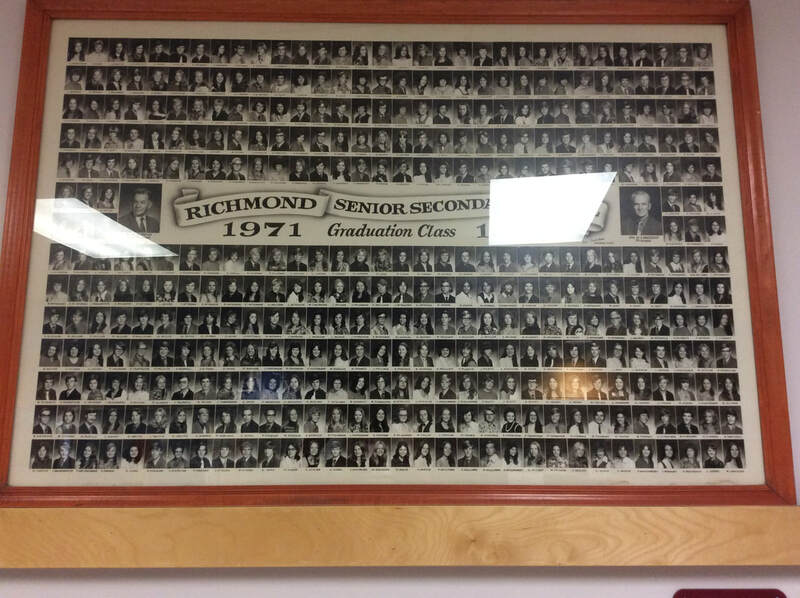 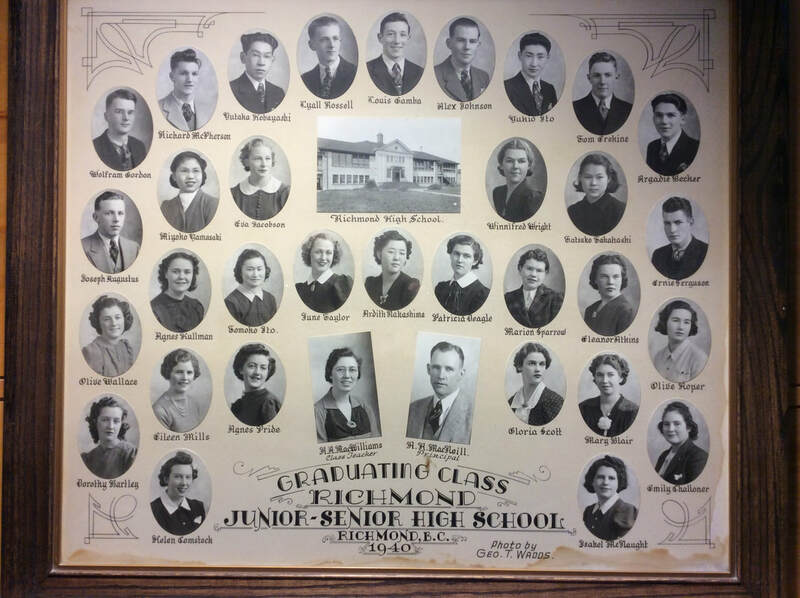 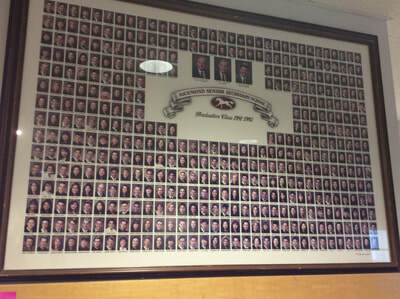 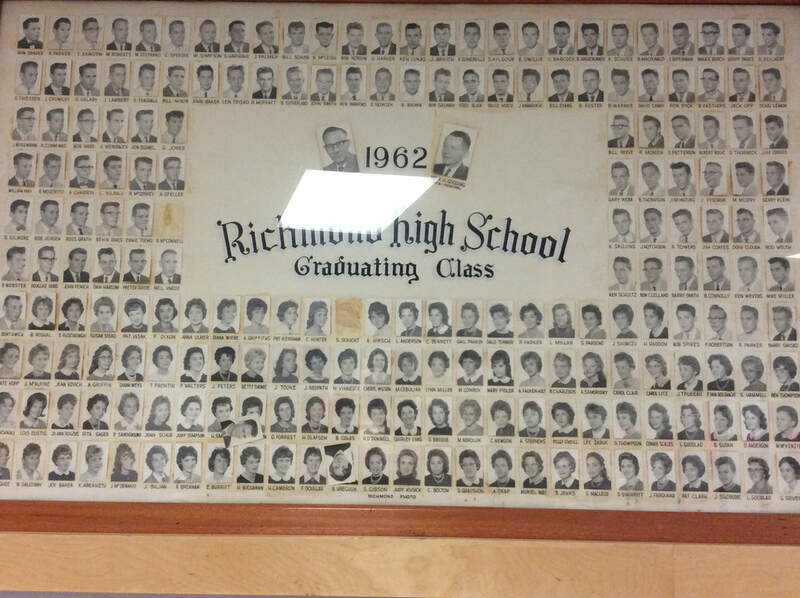 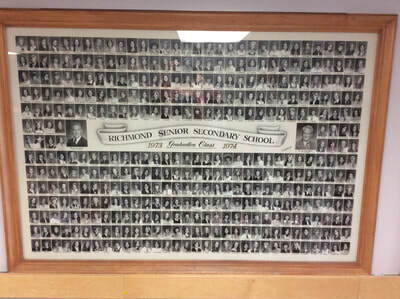 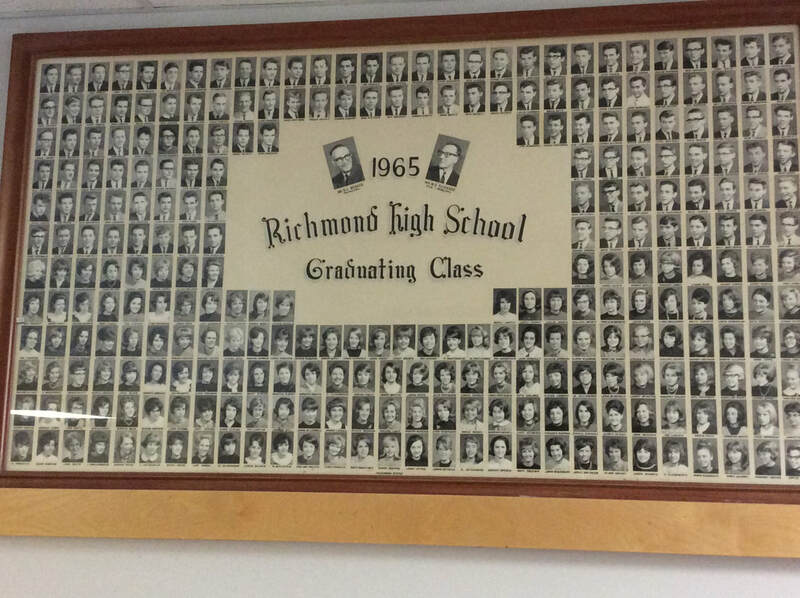 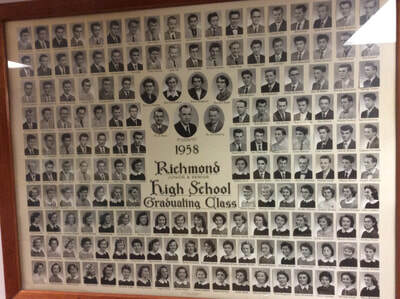 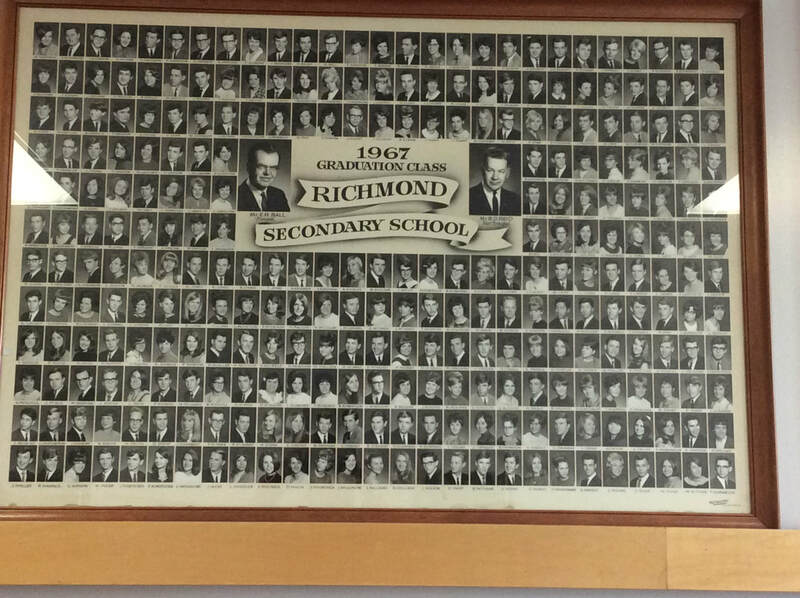 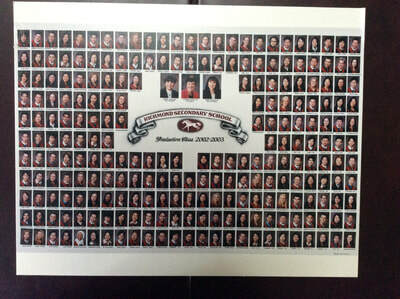 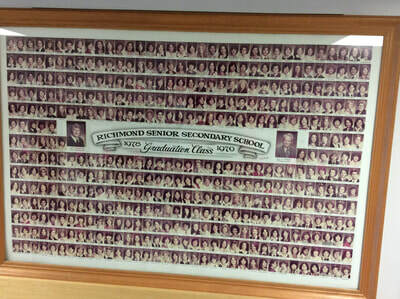 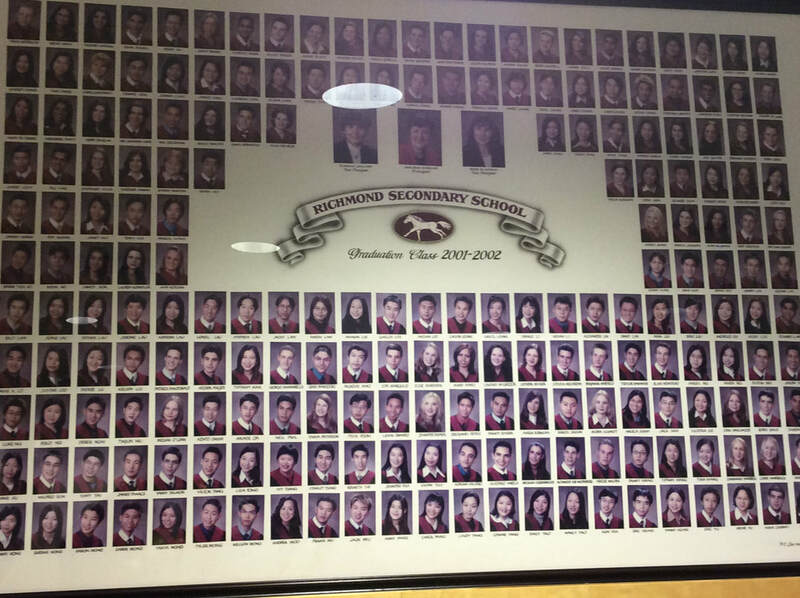 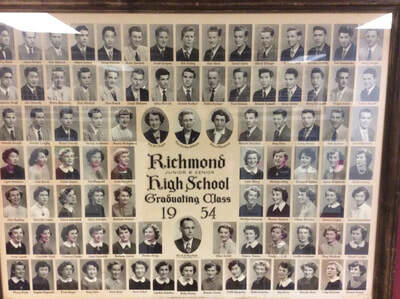 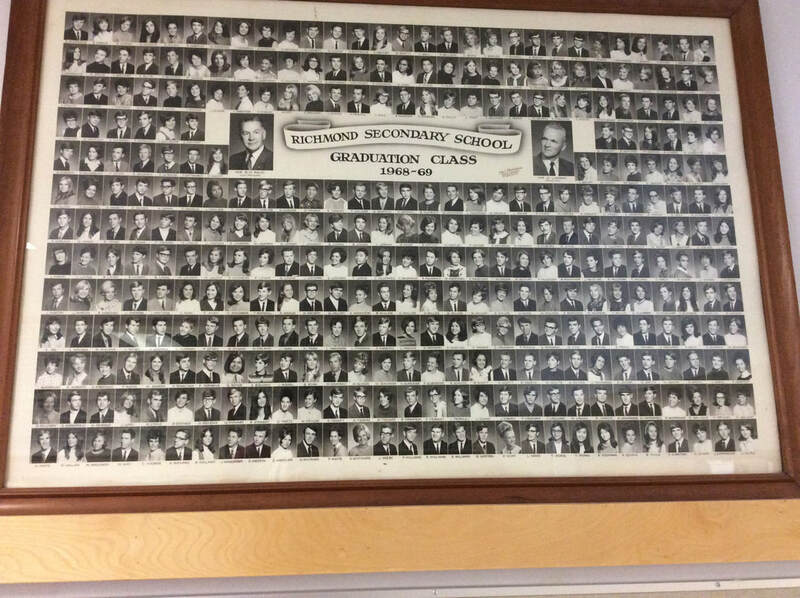 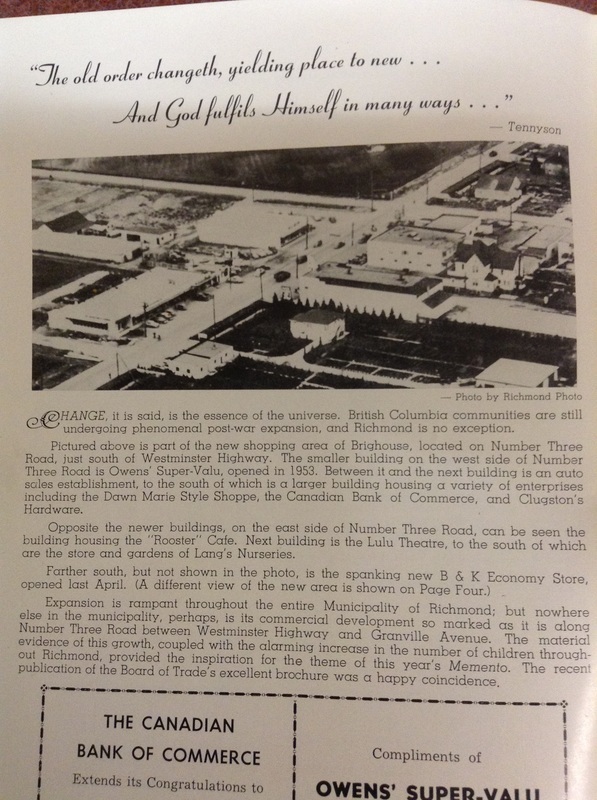 The Richmond Secondary School Alumni Association helped to sponsor the creation of the Mural in the gym. 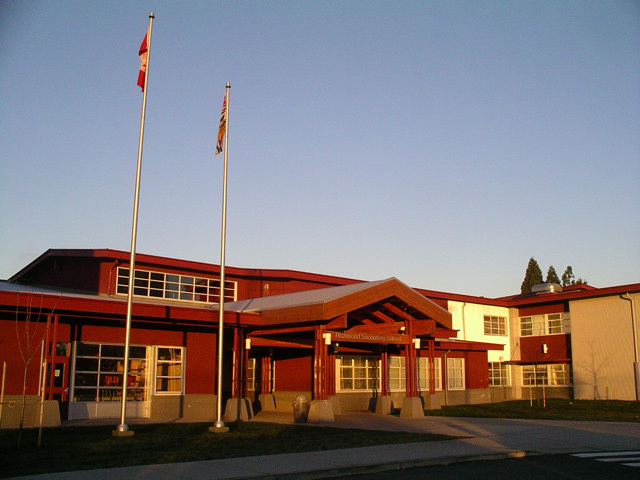 We were involved in the process of the design along with other staff members of the school. 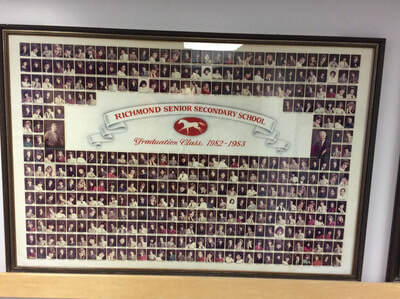 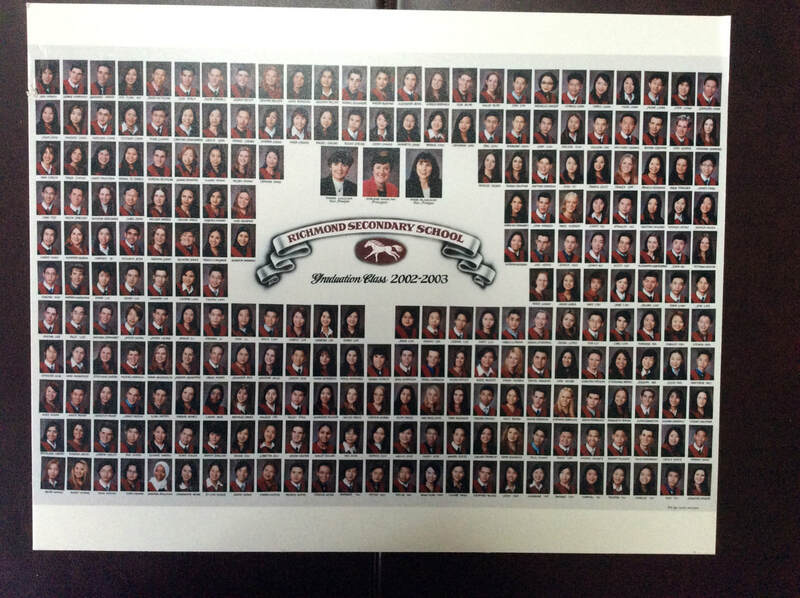 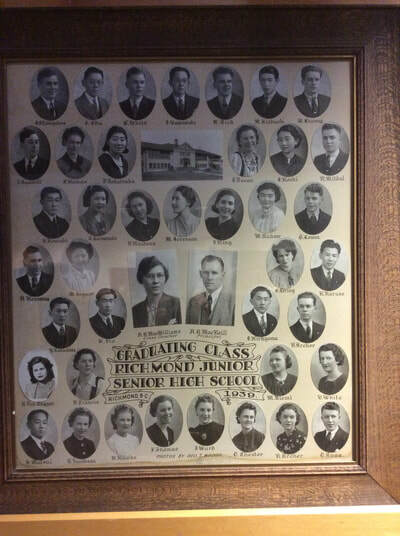 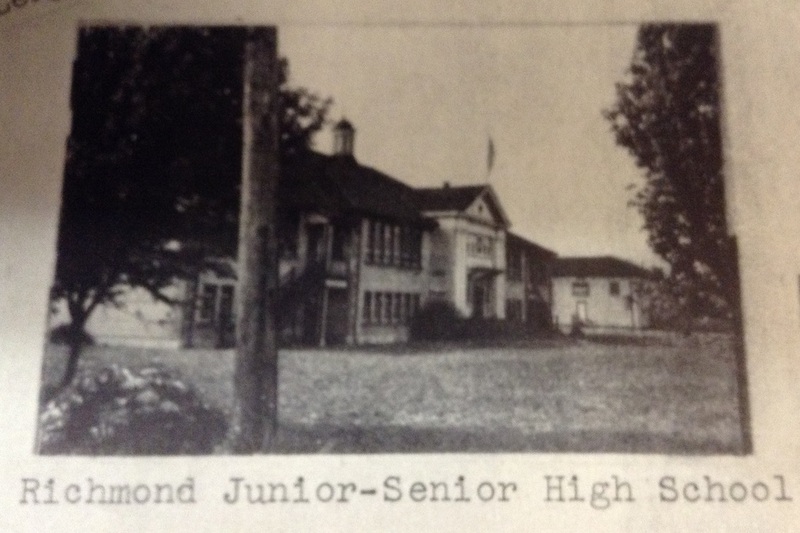 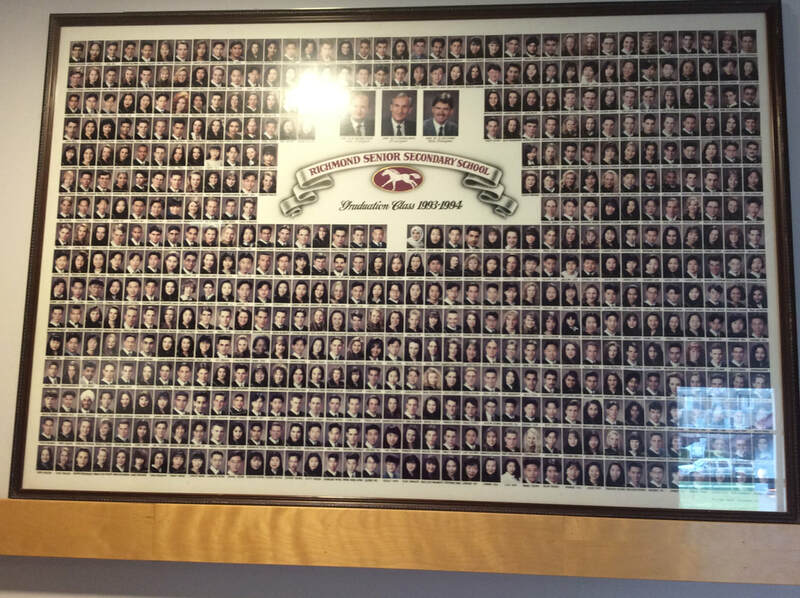 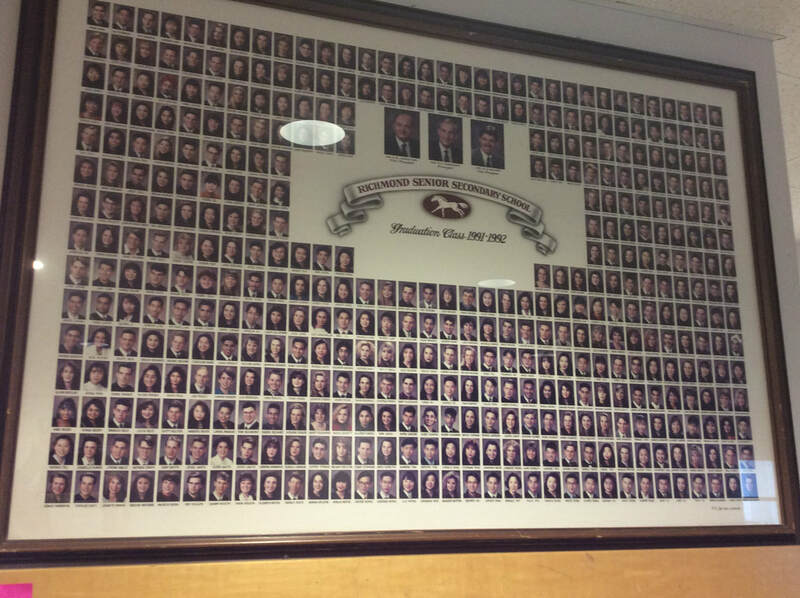 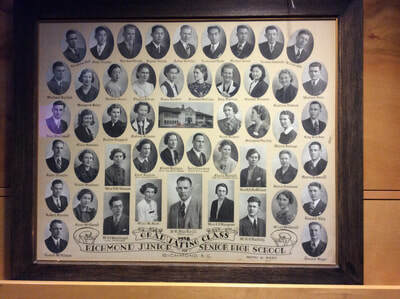 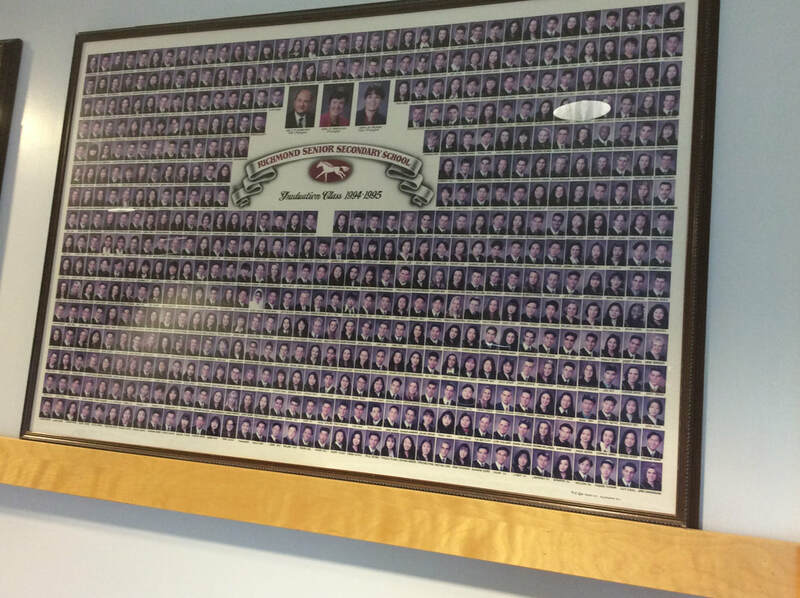 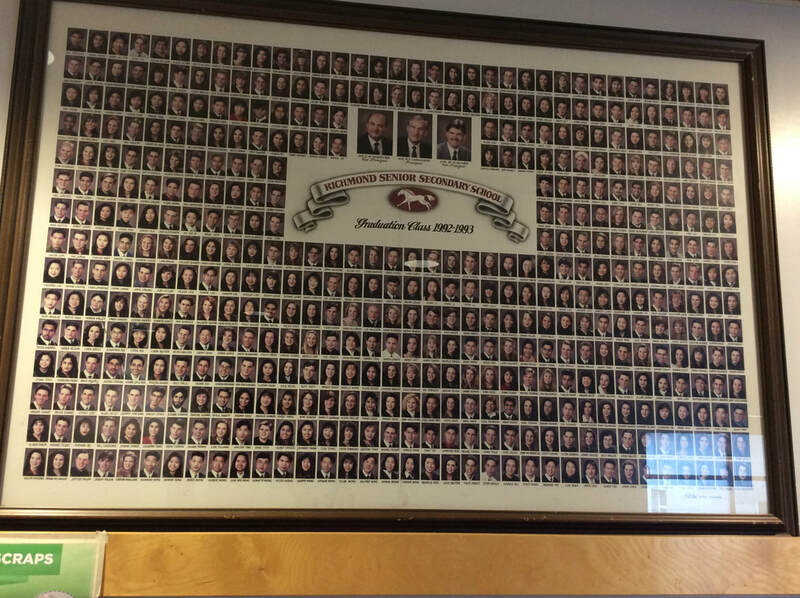 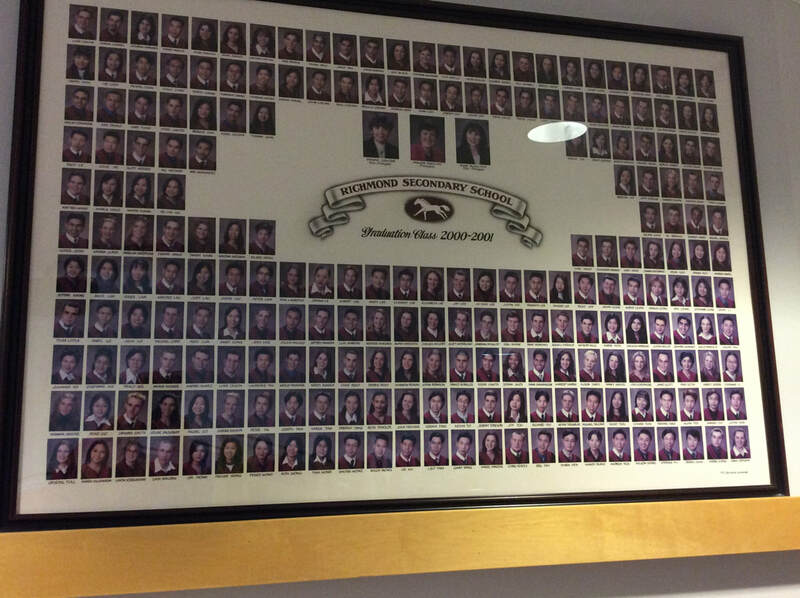 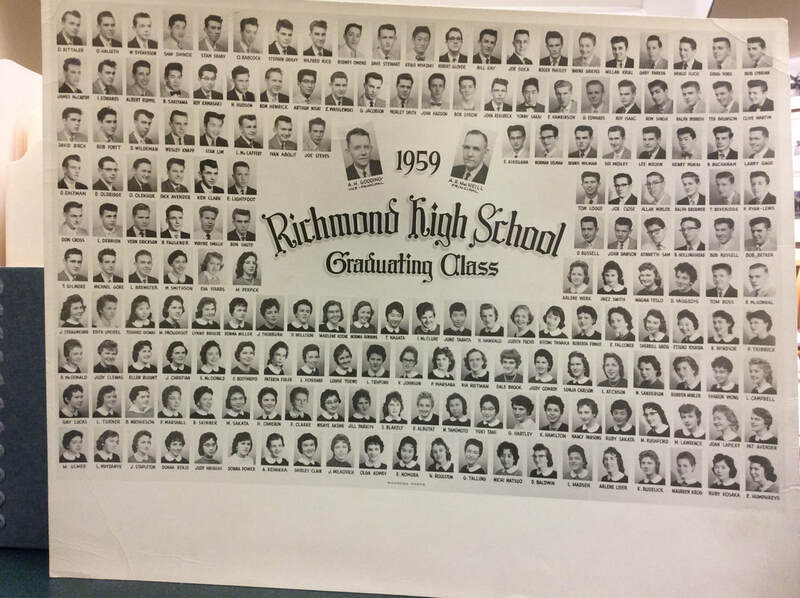 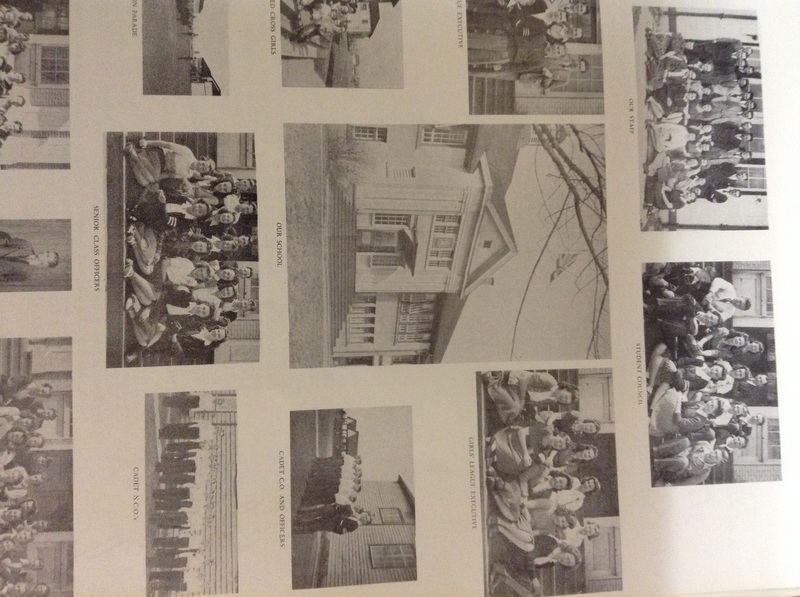 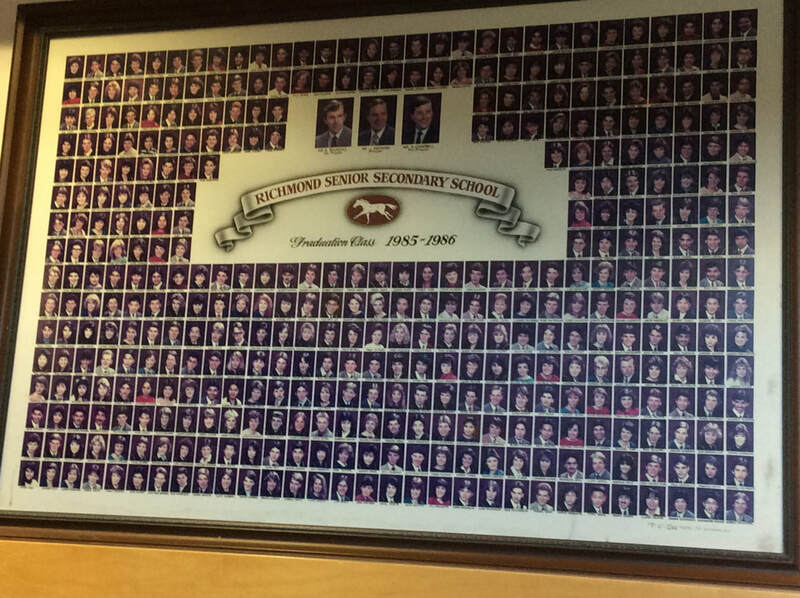 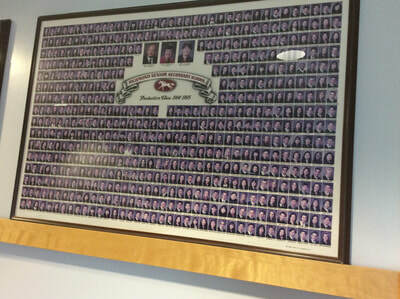 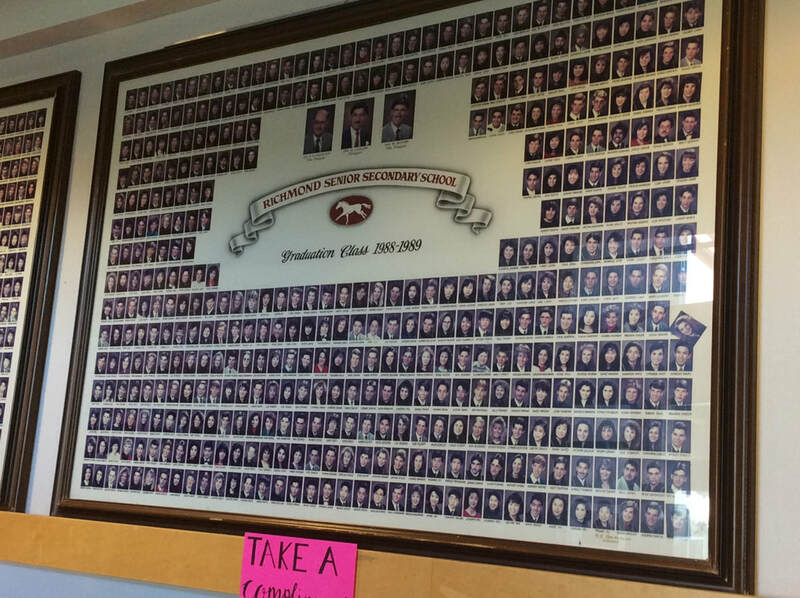 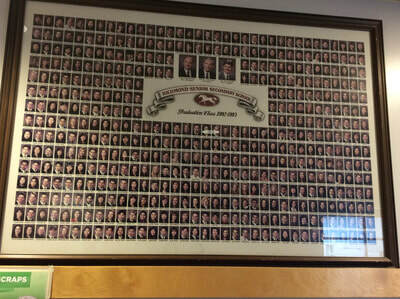 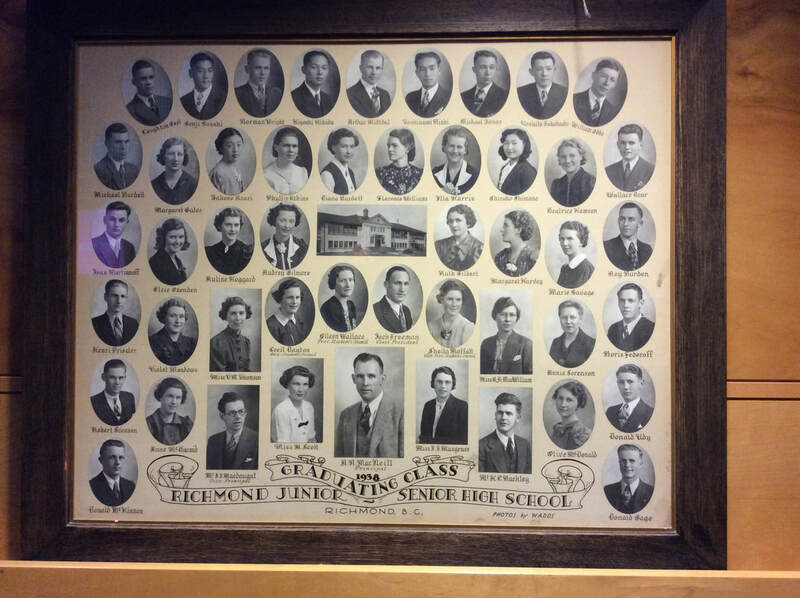 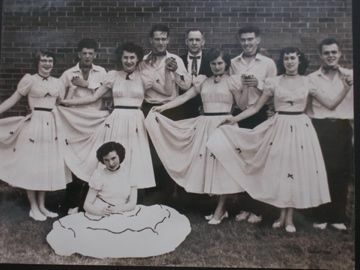 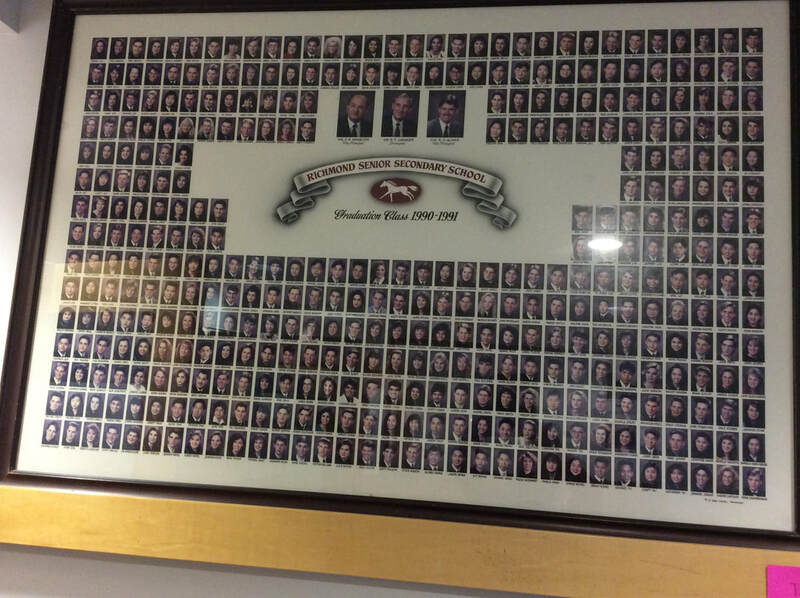 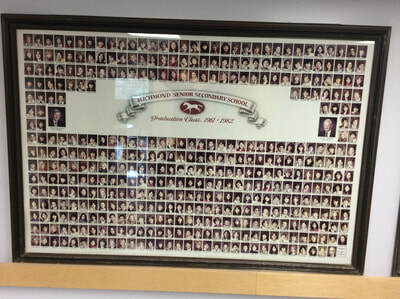 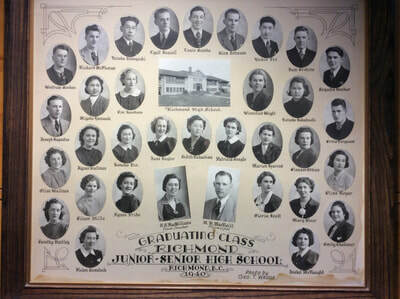 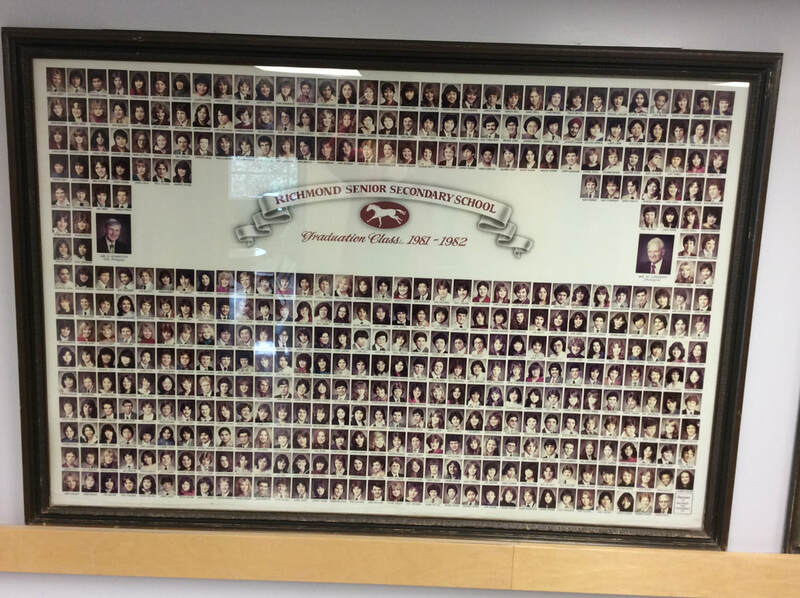 The significance of the large horses in the background is the representation of the Alumni - the students that have graduated from RHS since 1927. 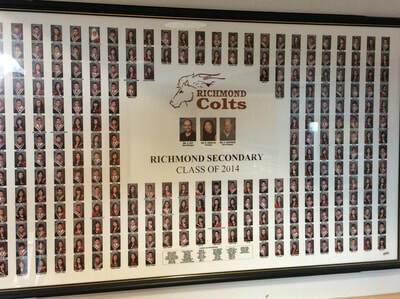 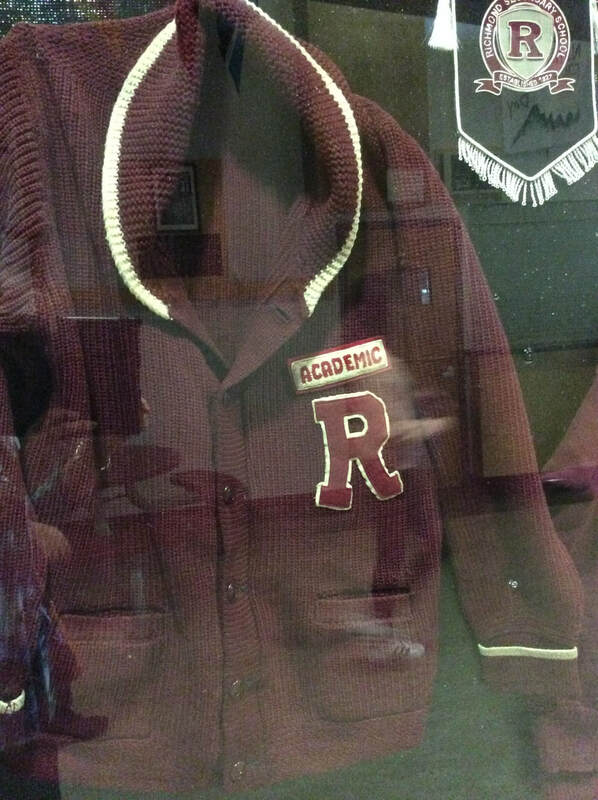 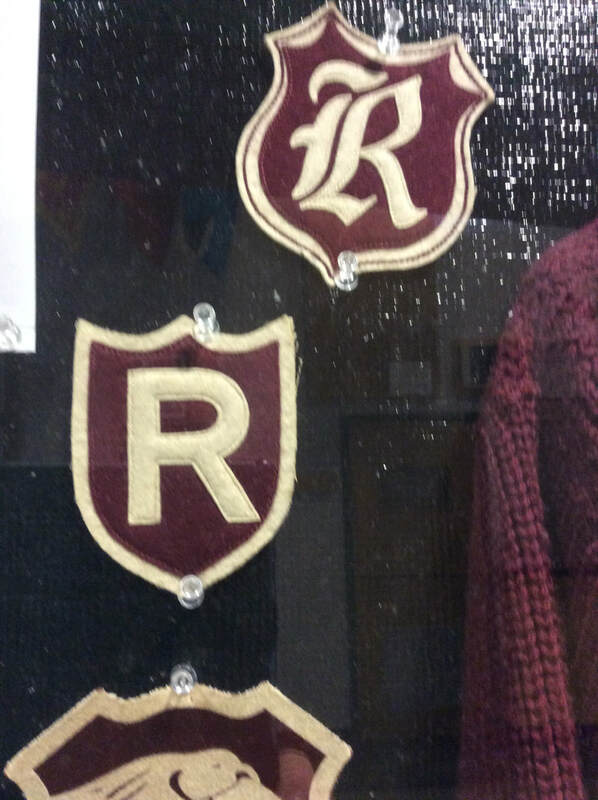 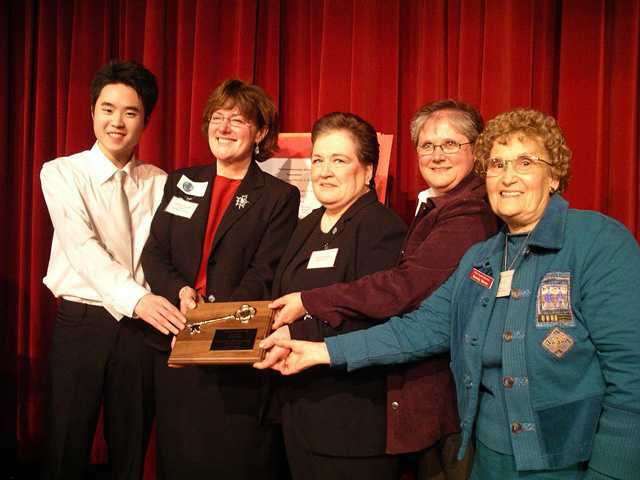 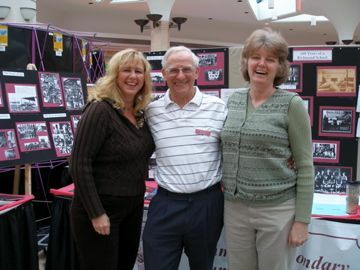 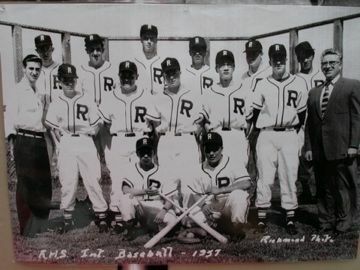 They are the mentors and guides for many of the younger colts and are the gatekeepers to the history of RHS. Through their guidance, volunteering and contributions back to the school it helps many of the students that pass through the doors at RHS.